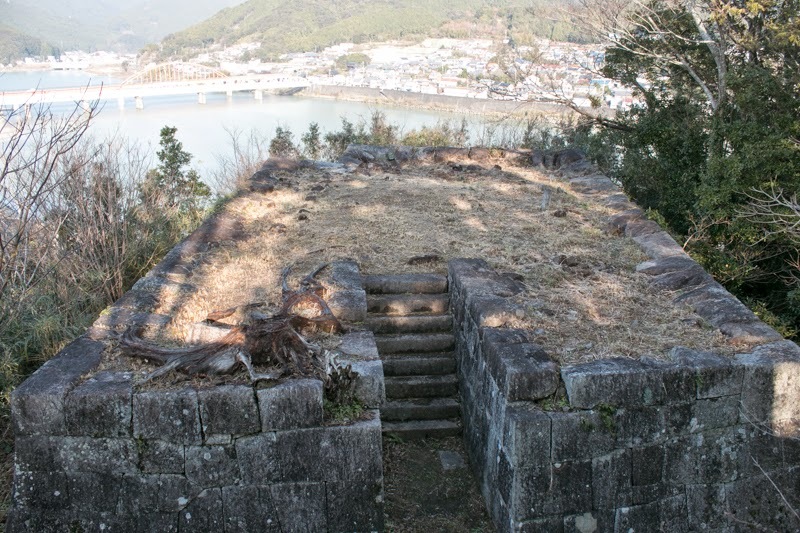 Shingu castle (新宮城) is located at Tankakuyama hill, one of 50 meter height beside the mouth of Kumanogawa river in Shingu city. 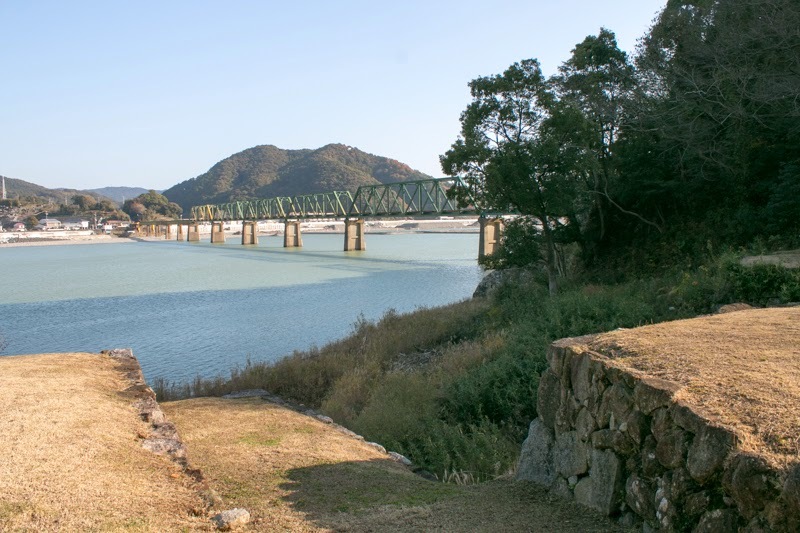 Kumanogawa river is a long river flows from south part of Nara prefecture to Shingu city through mountainous area, and used to float lumbers produced at upstream forestry area such as Yoshino area or Totsugawa area. 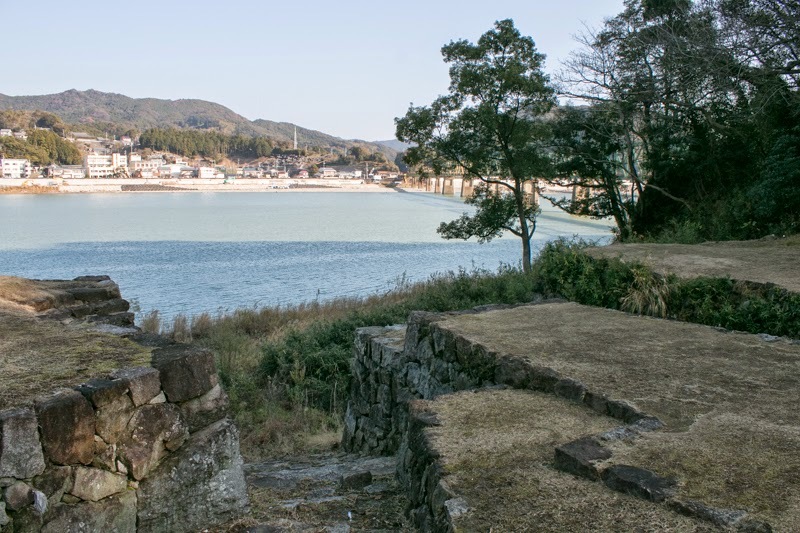 Shingu city has a good port at the mouth of the river and prospered as a loading port of these lumbers, then became the center of Kumano area (southeast coast of Wakayama prefecture). 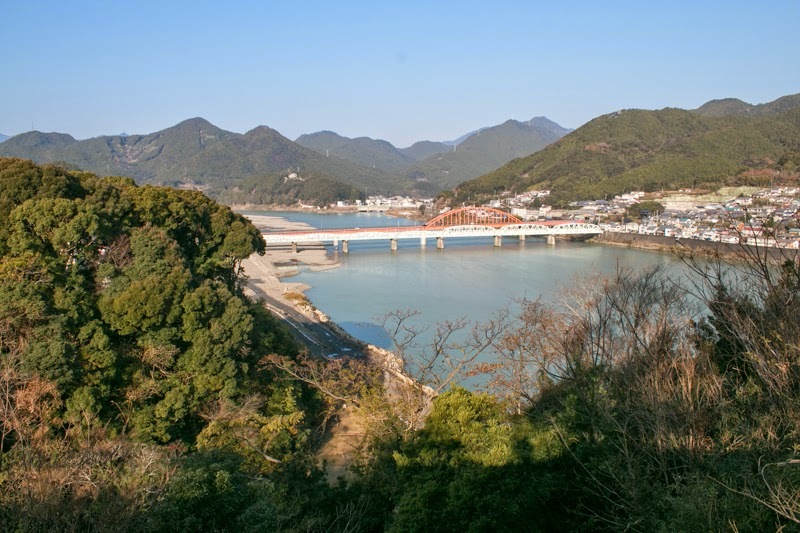 Shingu city is also known as a legend that Xu Fu, a Taoism sorcerer who was ordered to search elixir of life by Shi Huang of Chinese Qin dynasty, drifted to this area at his expedition and died at this place. 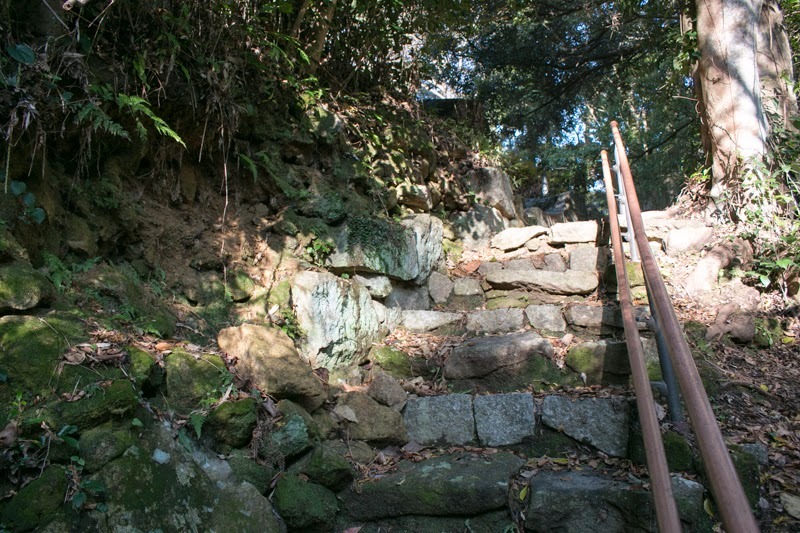 In Kumano area Kumano Sanzan (three shrines of Kumano area) were adored from ancient era. 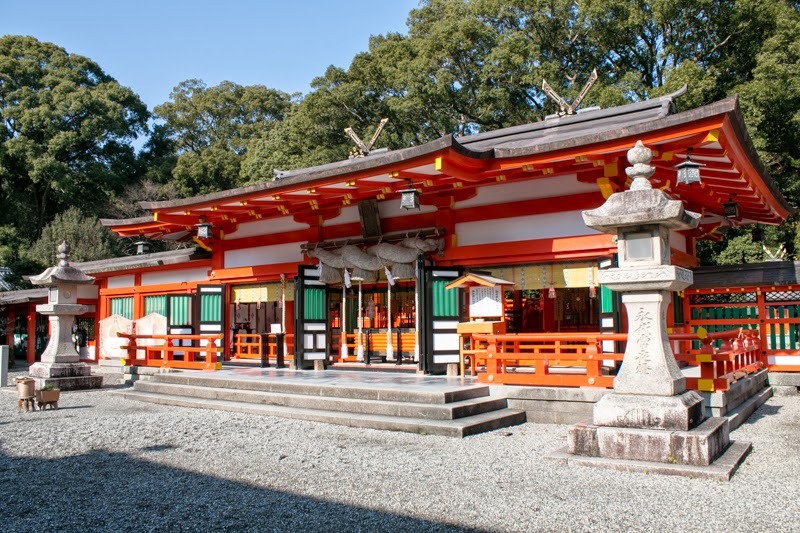 Kumano Sanzan consist of Kumano Hongu Taisha shrine (Tanabe city), Kumamo Nachi Taisha shrine (Nachi Katsuura town) and Kumano Hayatama Taisha shrine (Shingu city), and many highness, soldiers and people made pilgrimage to these shrines from all over Kinki region. 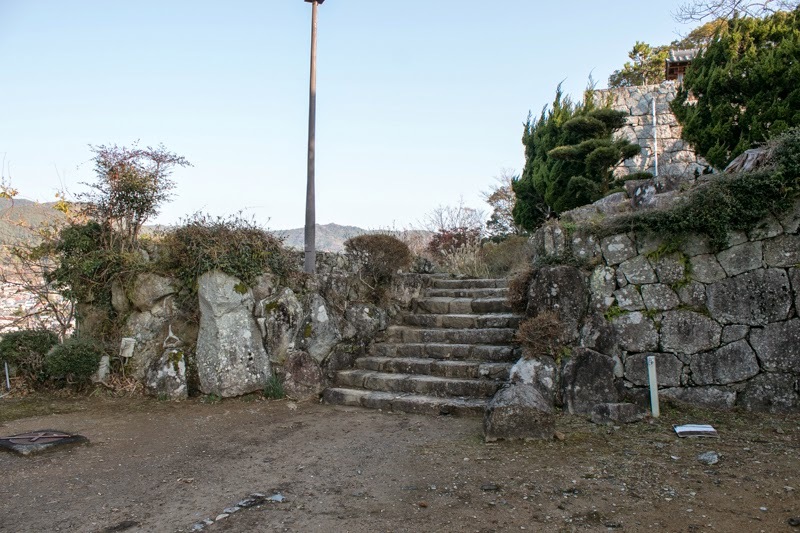 Mountainous roads connected these shrines, and Shingu city was one of the core of these road because it has Kumano Hayatama Taisha shrine in the city and a ferry port to Kumano Hongu Taisha shrine by Kumanogawa river. 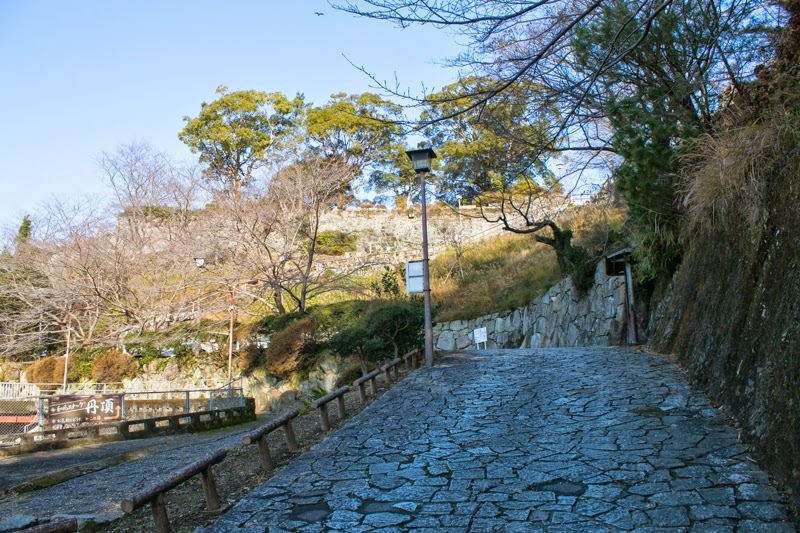 Today these shrines and connecting roads are nominated as World Heritage. 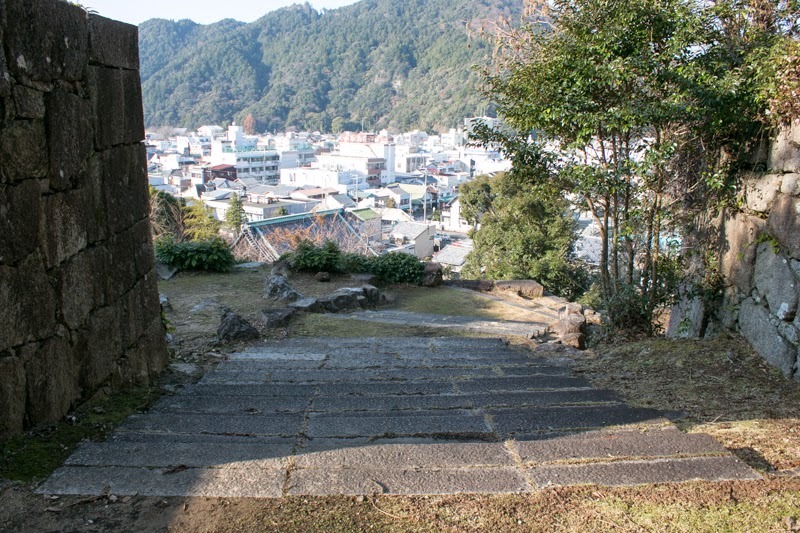 In medieval era, due to a poor agricultural production and good port, people of Kumano area activated as naval force called as "Kumano Suigun". 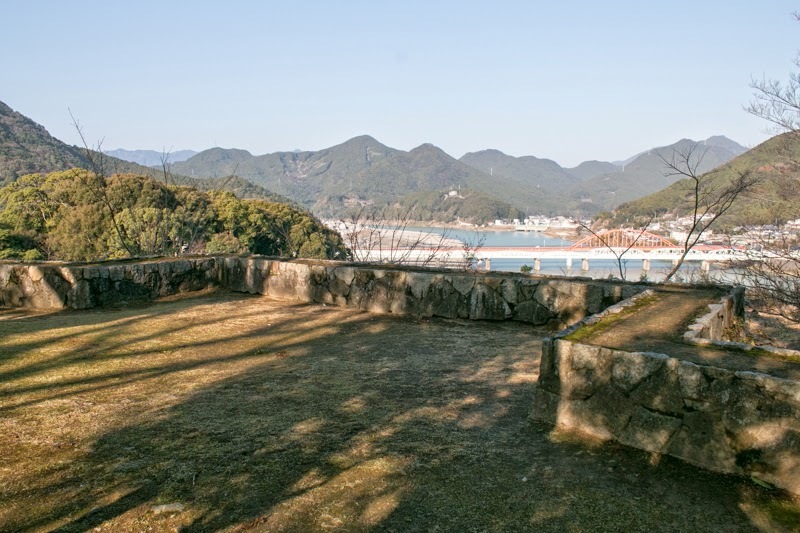 Kumano naval force participated in the battle between Taira clan and Minamoto clan, and contributed to the victory of Yoritomo Minamoto (1147-1199) who established Kamakura Shogunate. 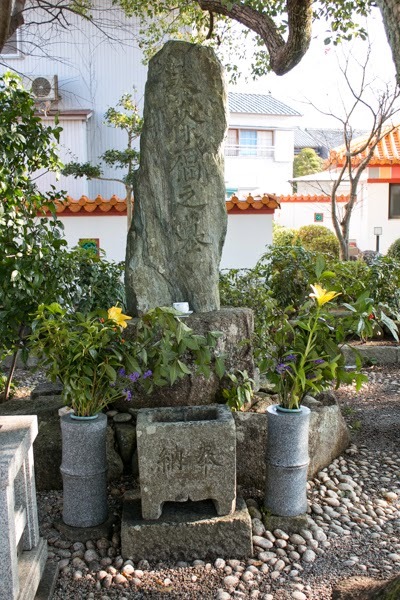 In Muromachi era, Shingu area was governed by Shingu clan, which was said as descendant of Yukuiie Minamoto (1141-1186, called as Shingu Jyuro). 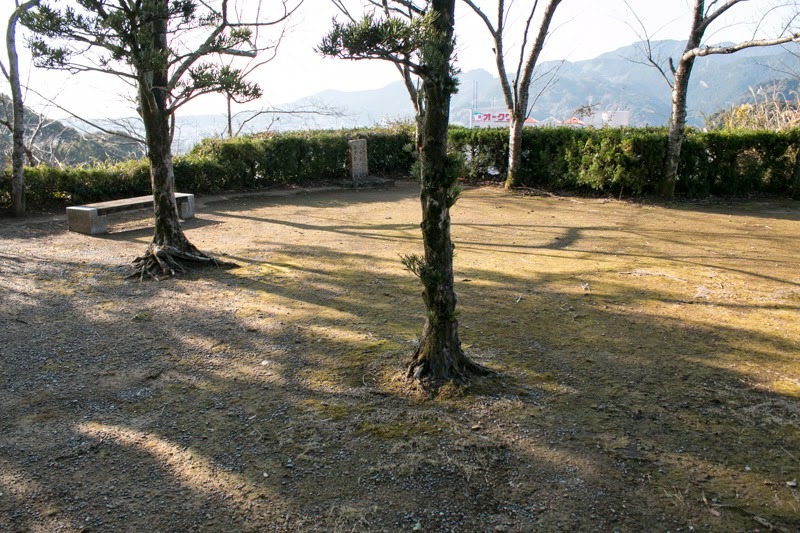 But later Shingu clan lost their power and Horinouchi clan became the lord of this area. 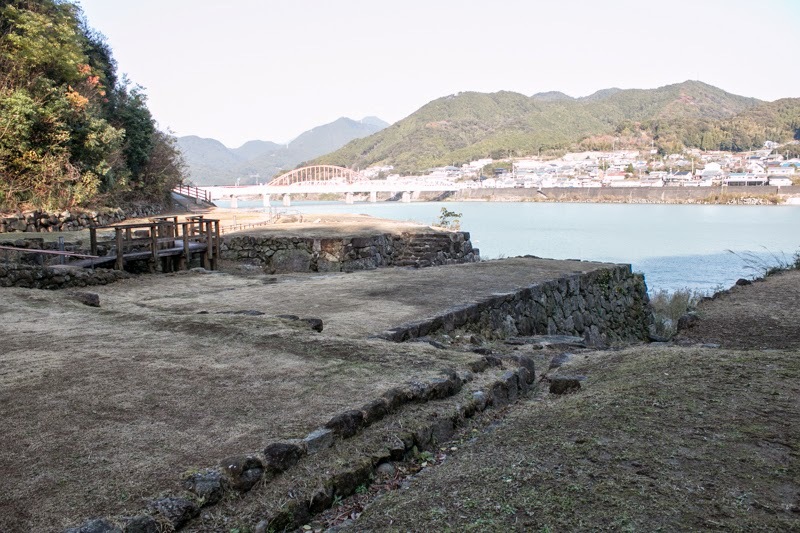 In 16th century, Ujiyoshi Horinouchi (1549-1615) subordinated to central ruler Nobunaga Oda (1534-1582) and expanded their territory to current Owase area. 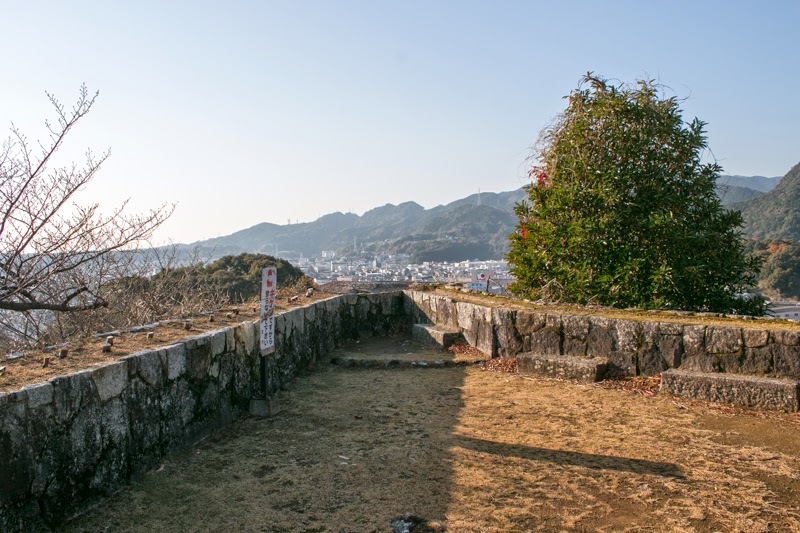 When next ruler Hideyoshi Toyotomi (1537-1598) invaded to Kii country, Ujiyoshi at first resisted to Toyotomi army but later surrendered, then Ujiyoshi continuously managed Shingu area under Toyotomi government. 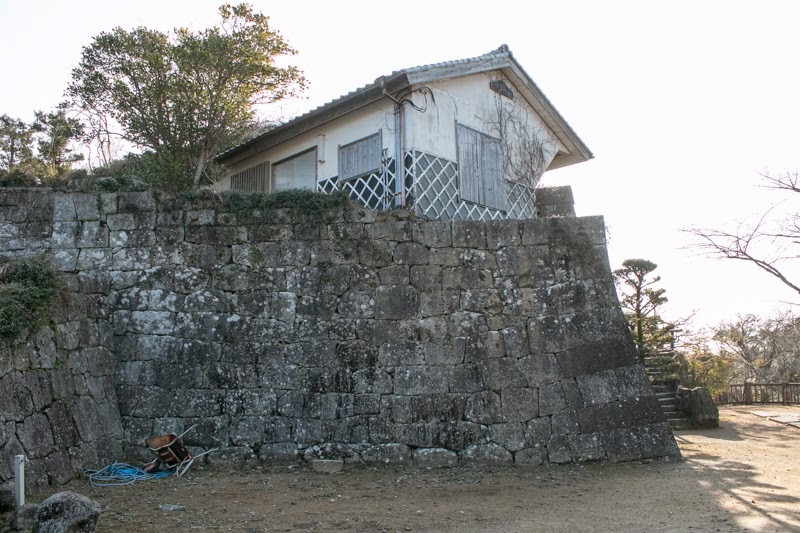 Ujiyoshi built his residence at west part of current Shingu city. 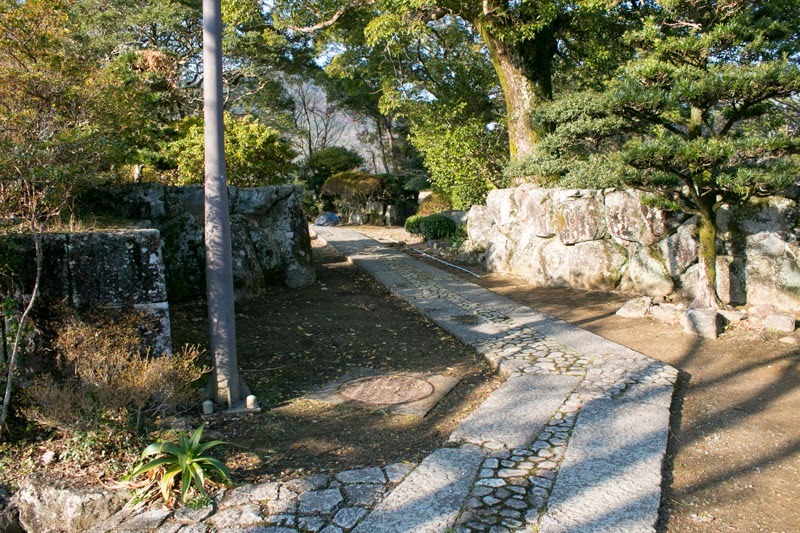 After the death of Hideyoshi, an conflict between Ieyasu Tokugawa (1543-1616), the largest lord under Toyotomi government and Mitsunari Ishida (1560-1600), former chief magistrate of Hideyoshi. 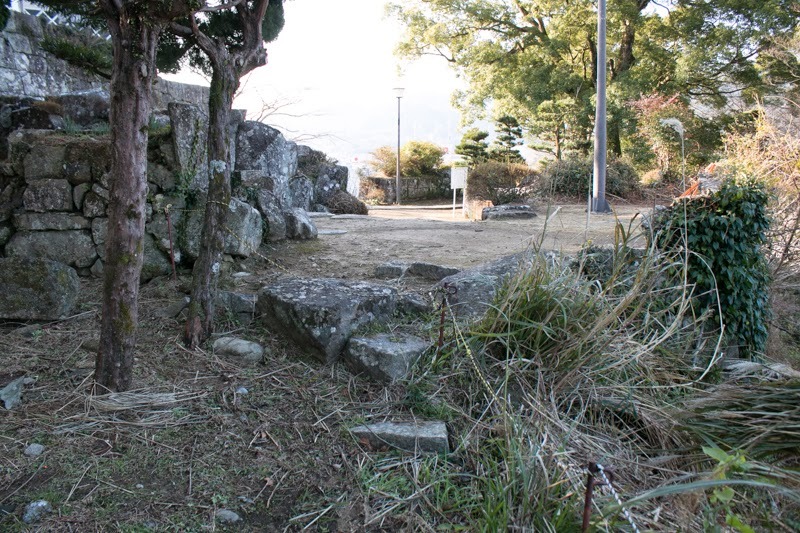 Ujiyoshi supported Mitsunari but Mitsunari was defeated at the battle of Sekigahara by Ieyasu in 1600, then Ujiyoshi was expelled and lost his territory. 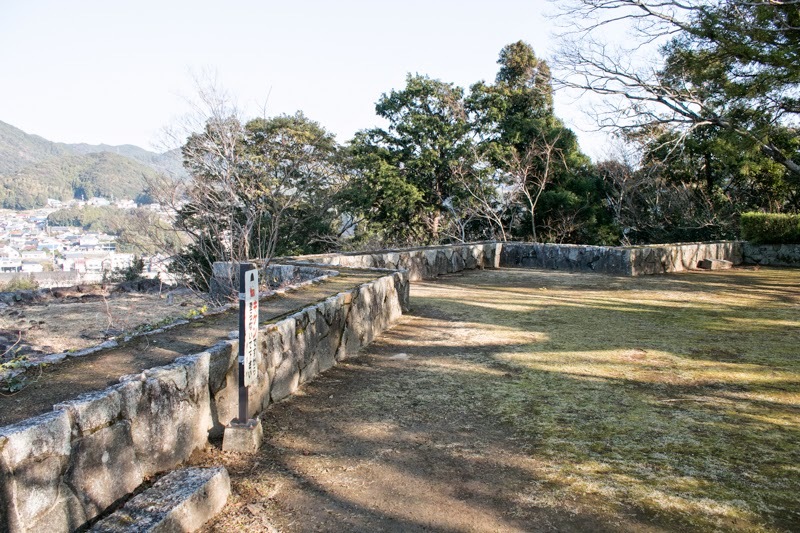 Subsequent the battle of Sekigahara, Yukinaga Asano (1576-1623) was appointed as the governor of Kii country (Wakayama prefecture). 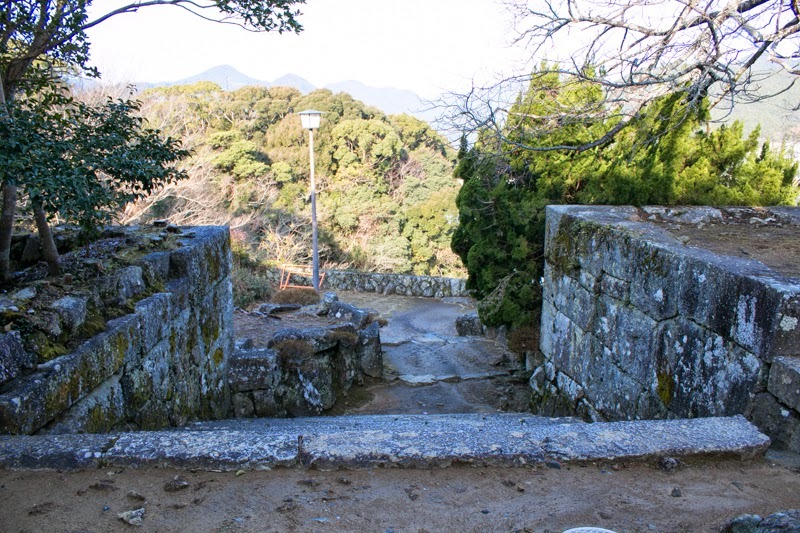 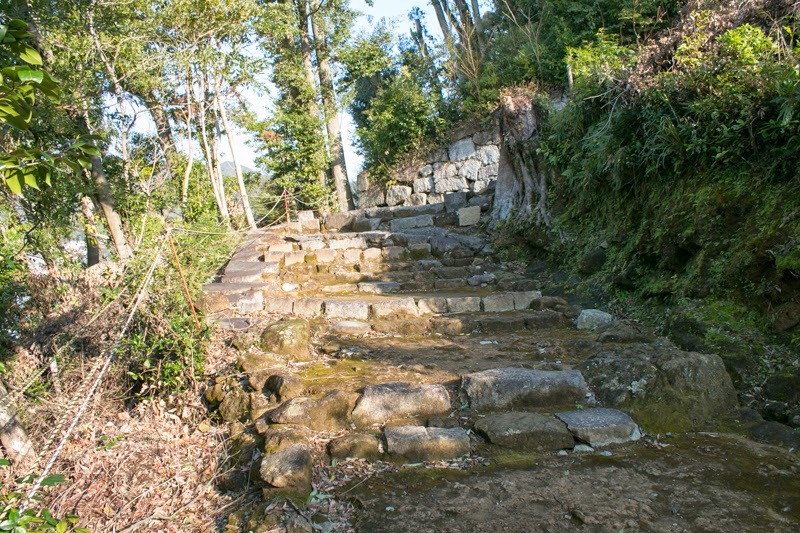 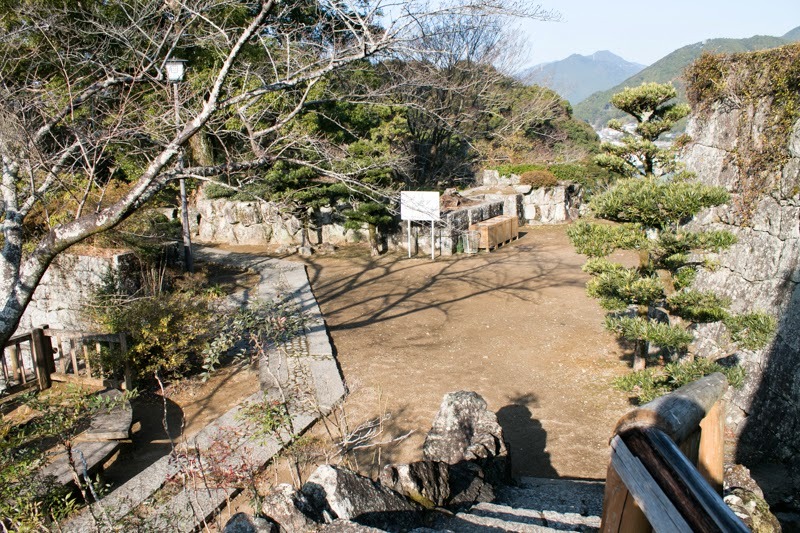 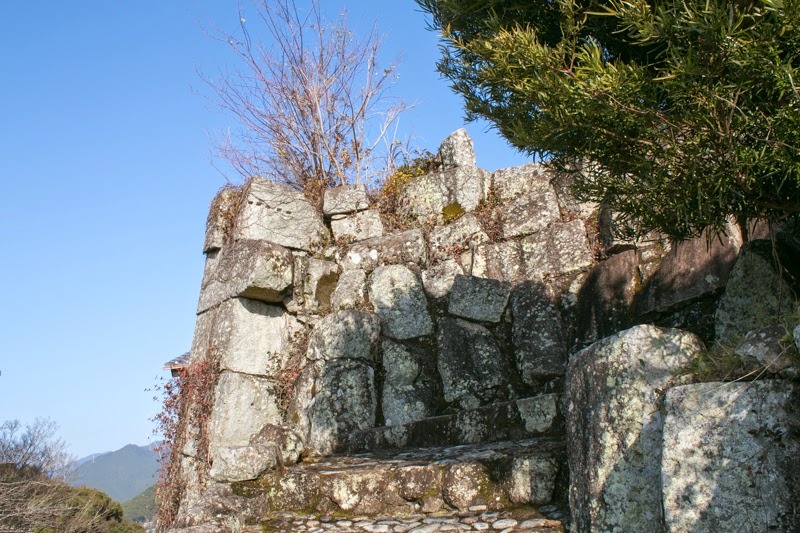 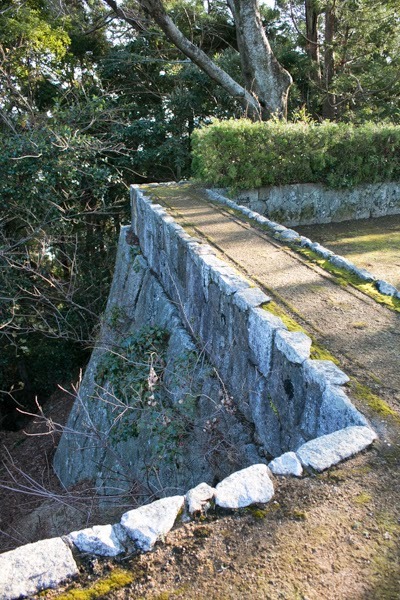 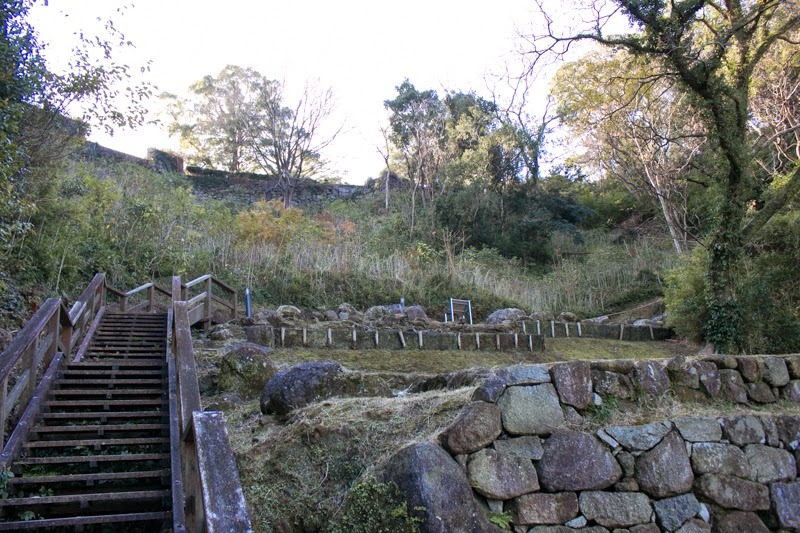 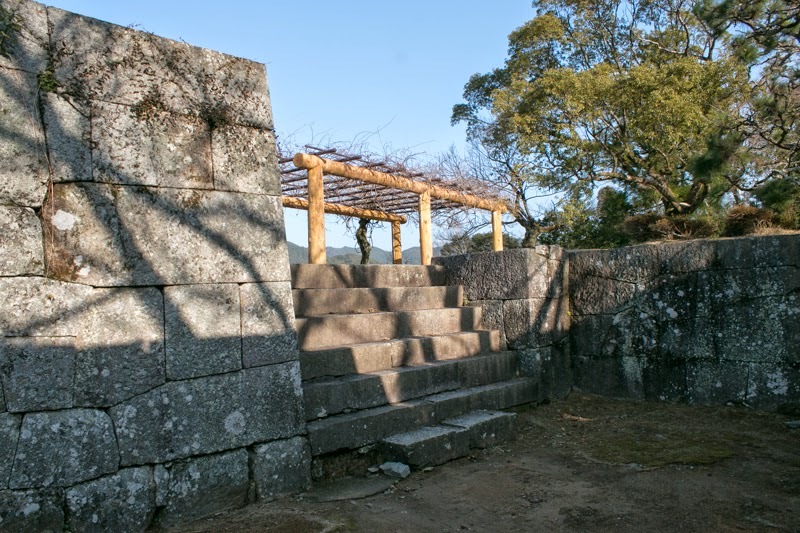 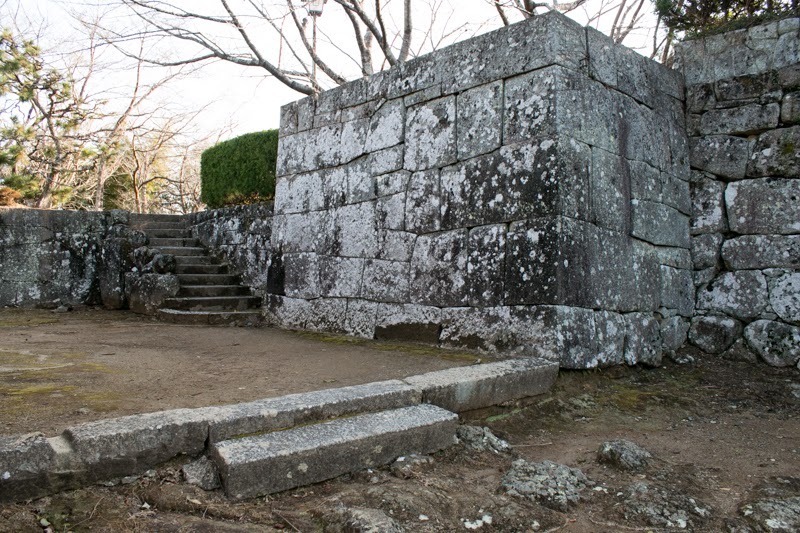 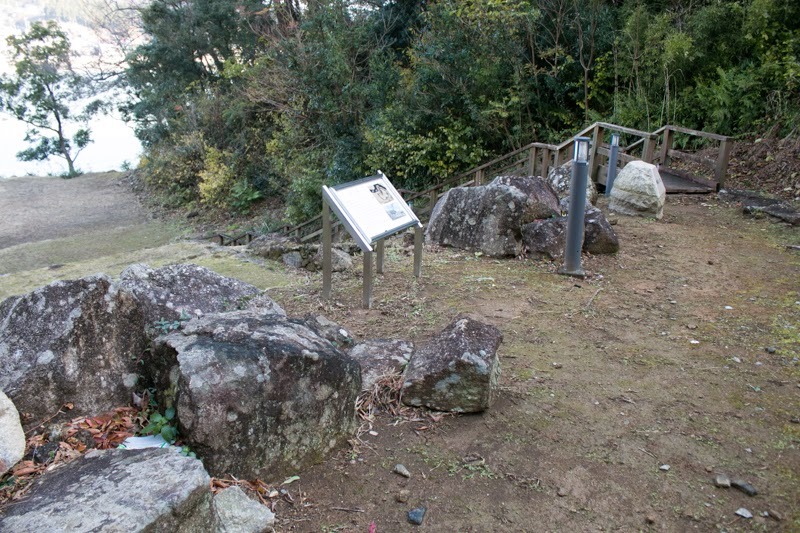 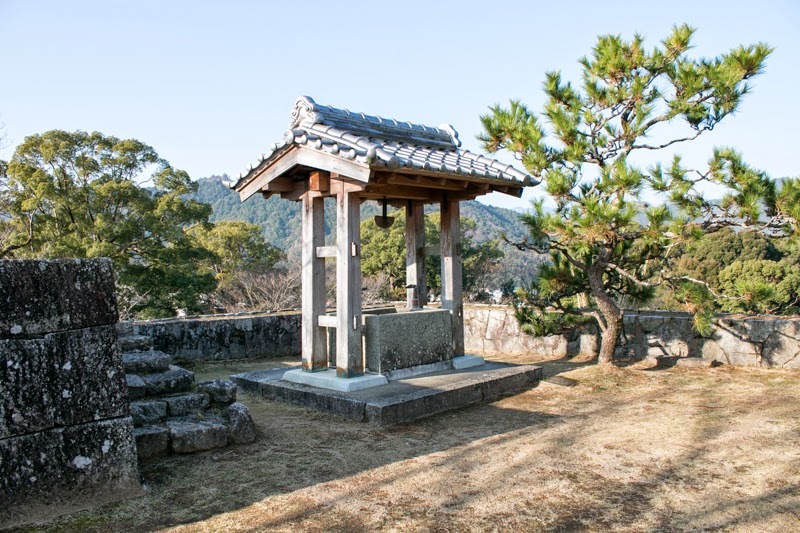 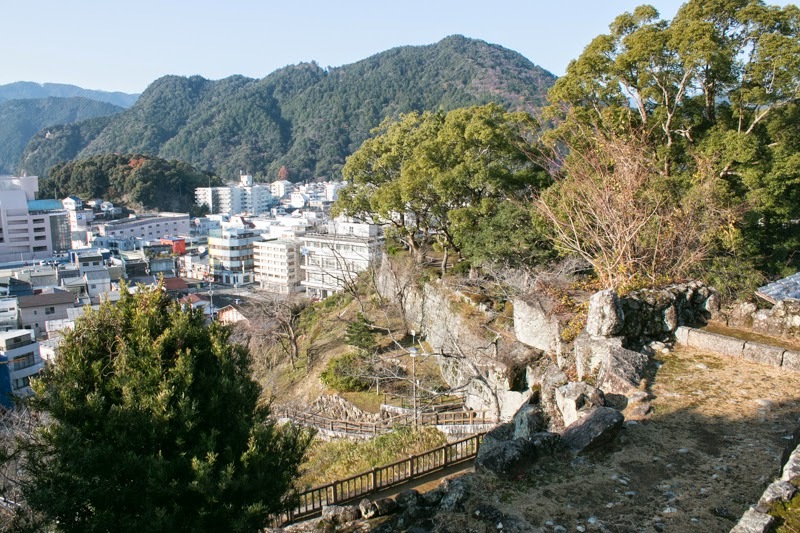 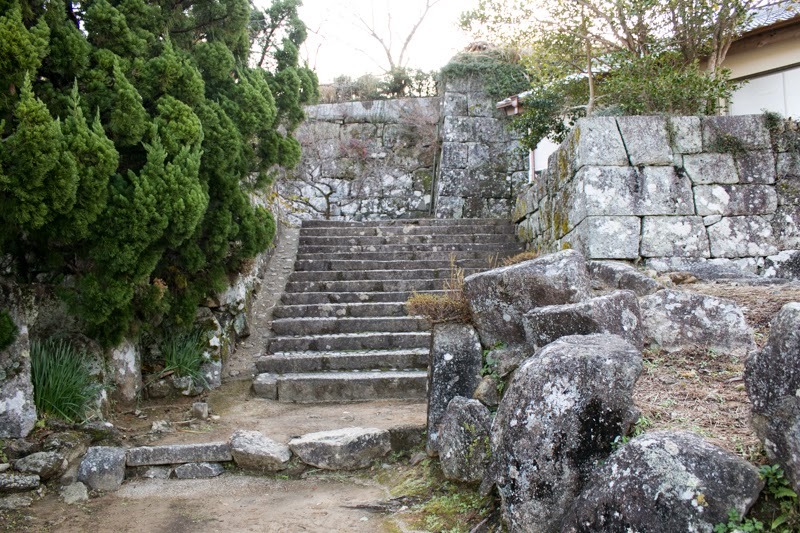 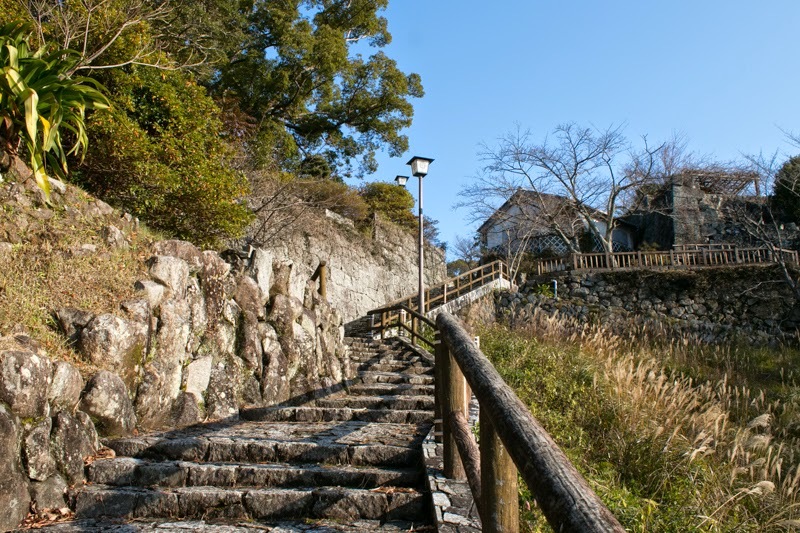 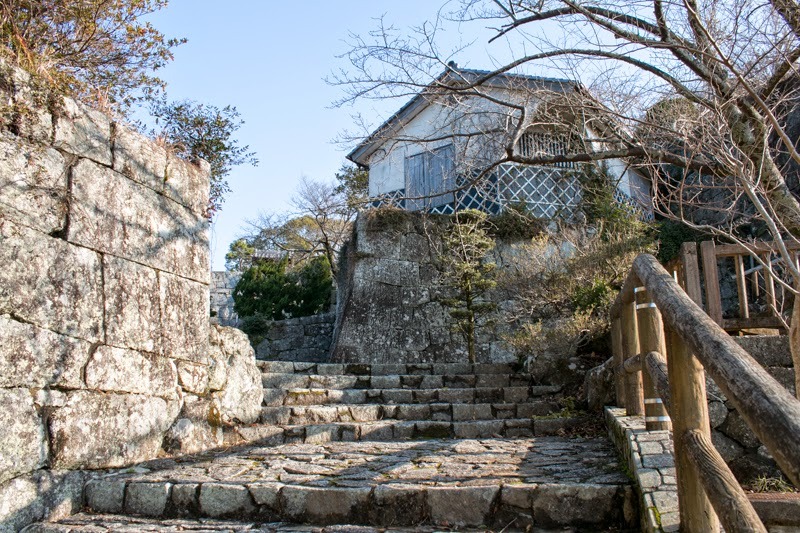 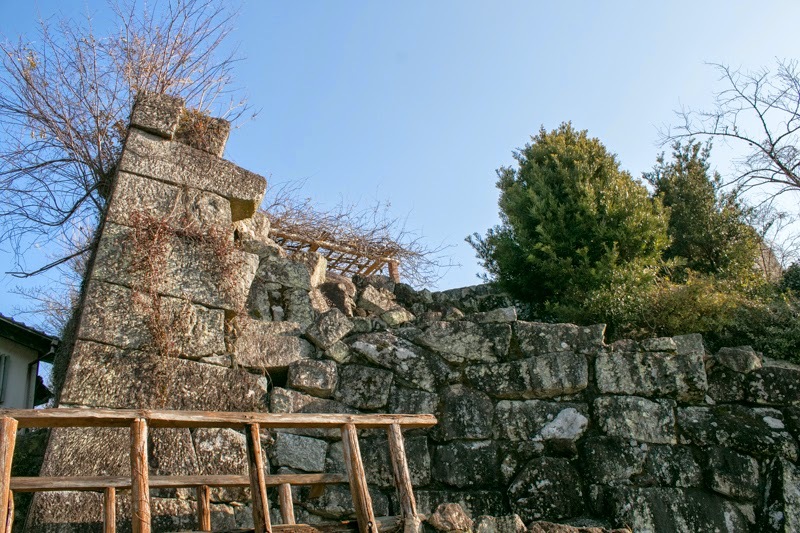 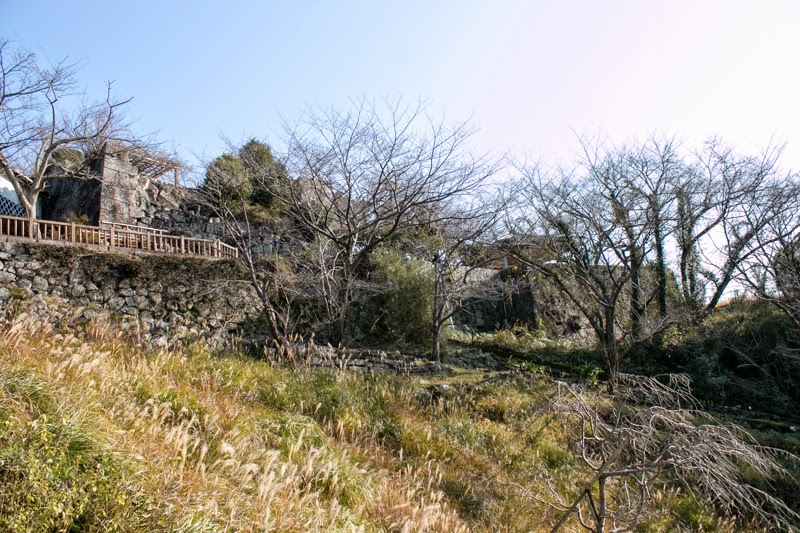 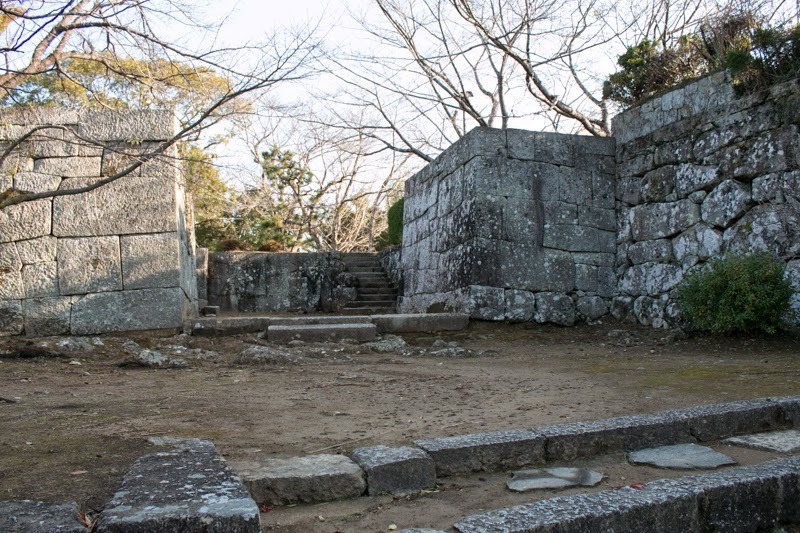 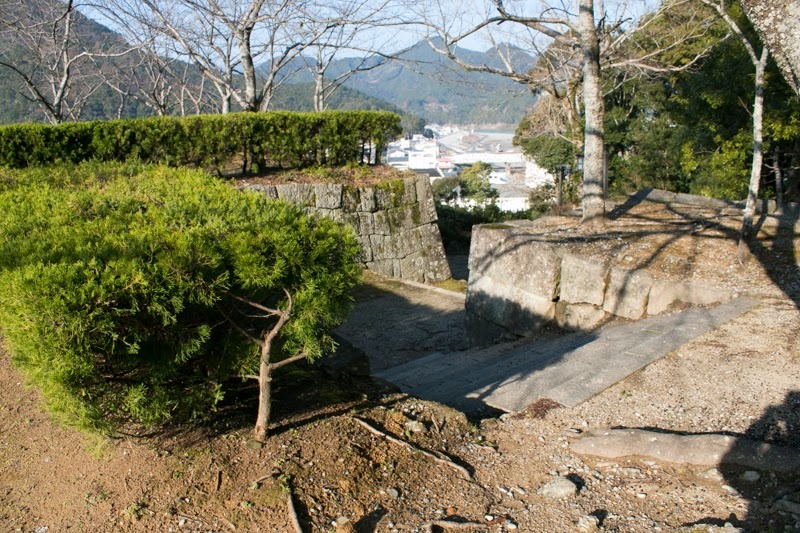 As Kumano area was far distant from their main castle Wakayama castle (Wakayama city), Yukinaga started to build their branch castle at Tankakuyama hill in 1601. 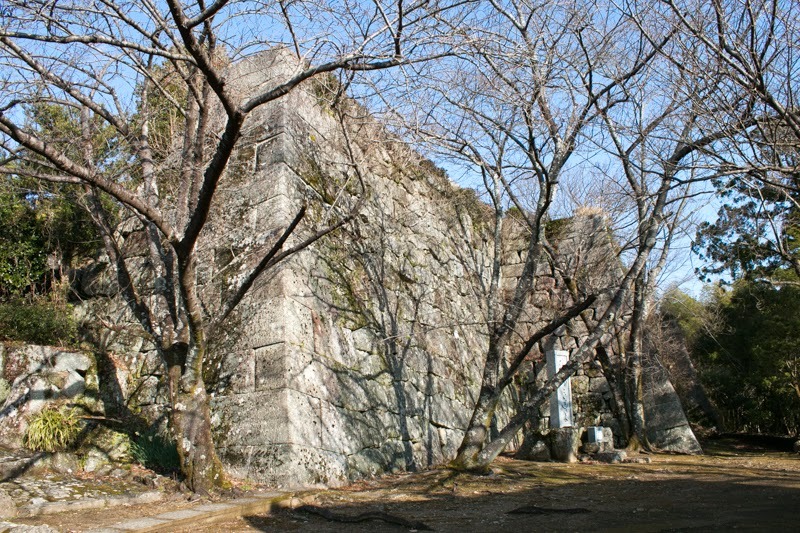 The construction of castle was once cancelled based on Ikkoku Ichijyo Rei (one domain one castle rule) published in 1616, but later was resumed. 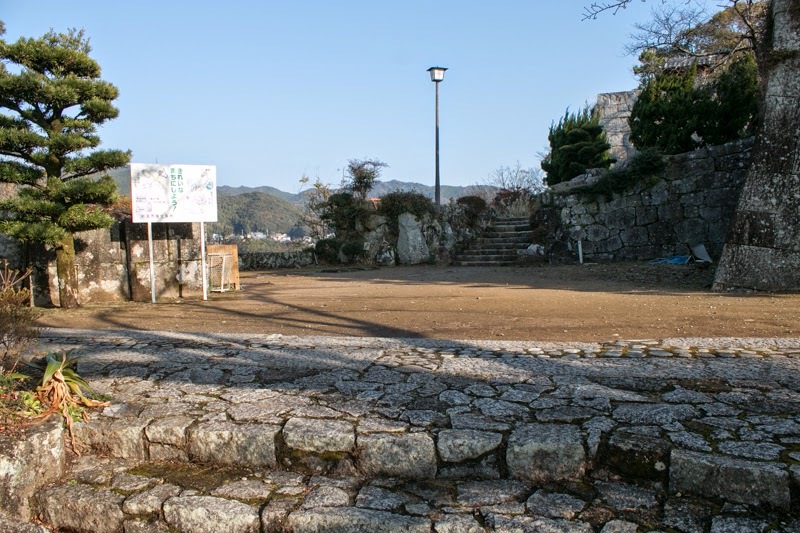 In 1619, Asano clan moved to Aki country then Yorihobu Tokugawa (1602-1671), the 10th son of Ieyasu Tokugawa, became the lord of Kii country and established Kishu domain. 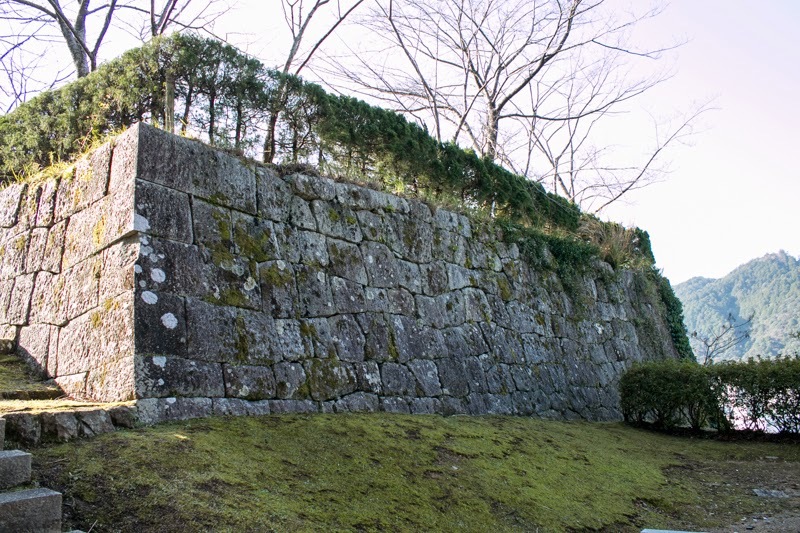 Kishu domain was one of the three special relative domain of Edo Shogunate along with Owari domain and Mito domain, then chief retainers were directly appointed by Edo Shogunate and they were approved to have their own castle. 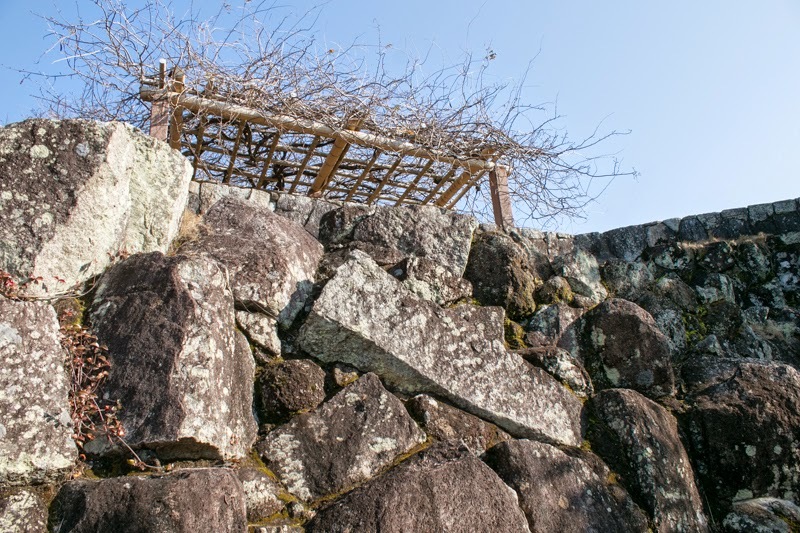 At Kishu domain Ando clan and Mizuno clan were nominated as chief retainers, and the former had Tanabe castle (Tanabe city) and the latter held Shingu castle. 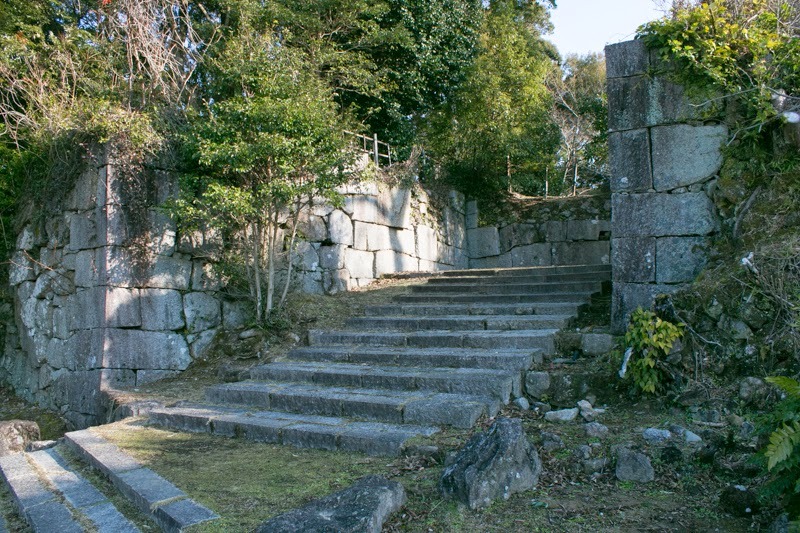 Mizuno clan further continued the construction of the castle and finally completed in 1633. 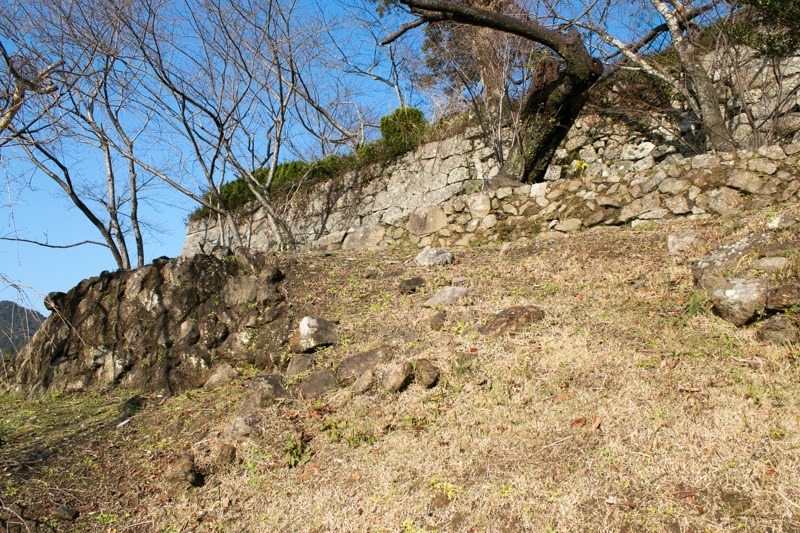 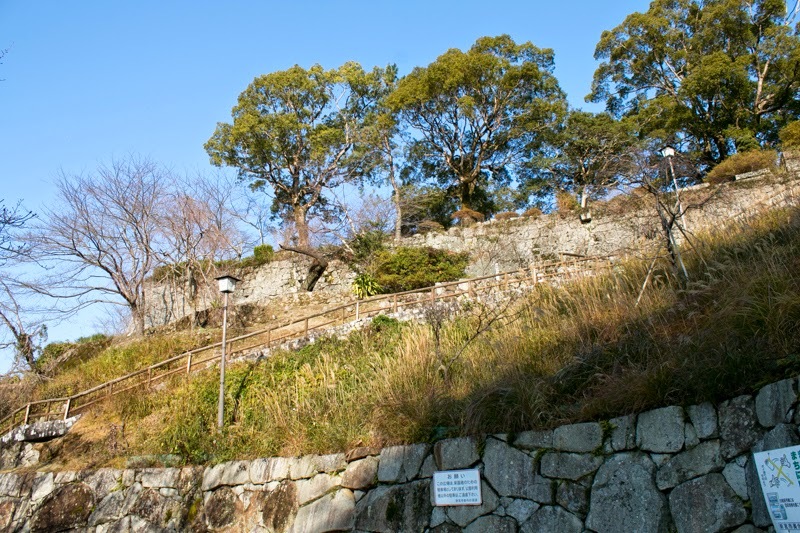 Shingu castle is built at U shaped hill, and hilltop areas spread along the ridge. 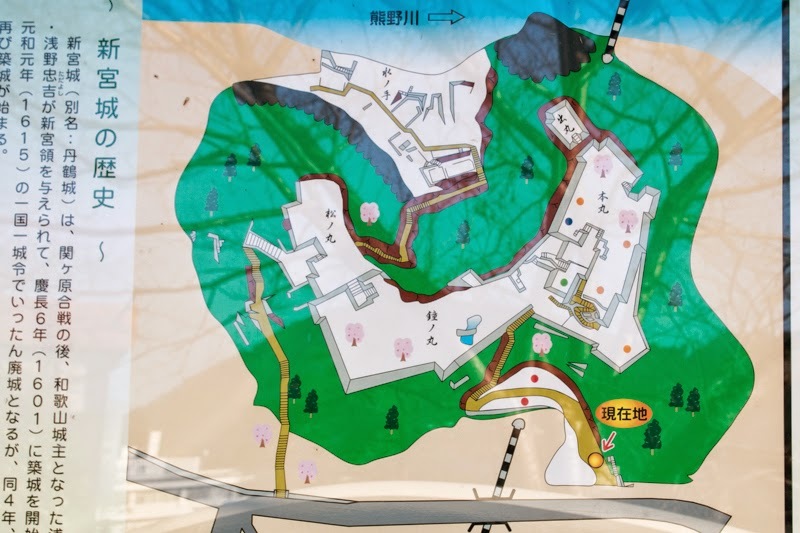 The central area is a rectangle shaped area of 50 meter long and 30 meter width locates at the east half of the hill, and there were main tower and attached tower at the south edge of the area. 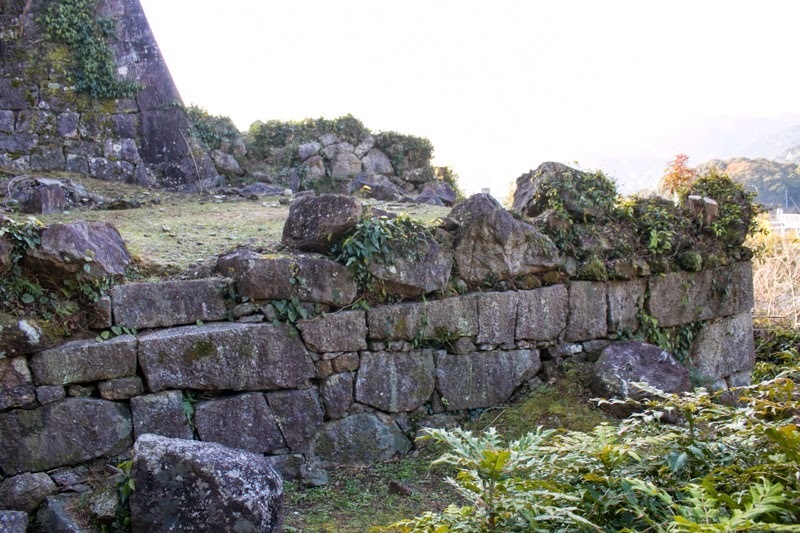 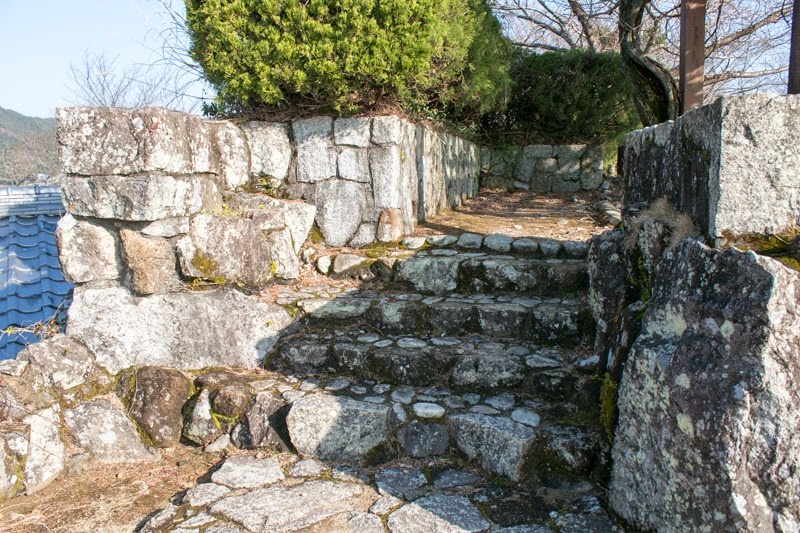 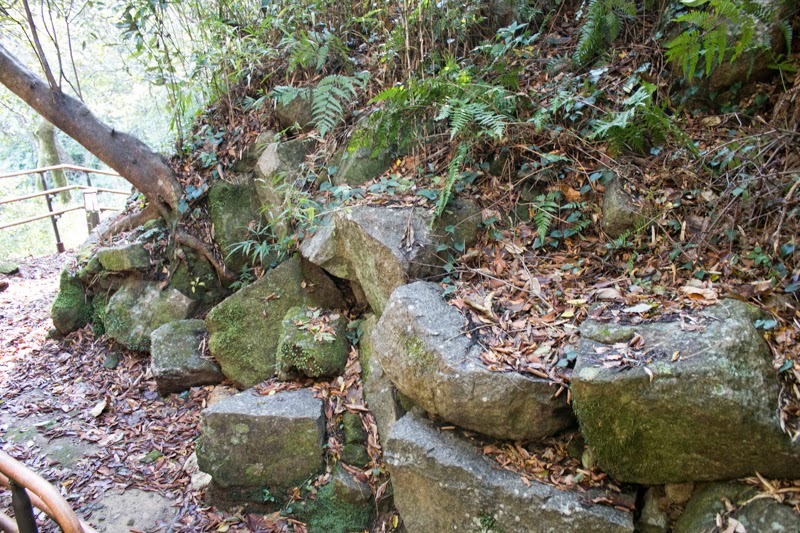 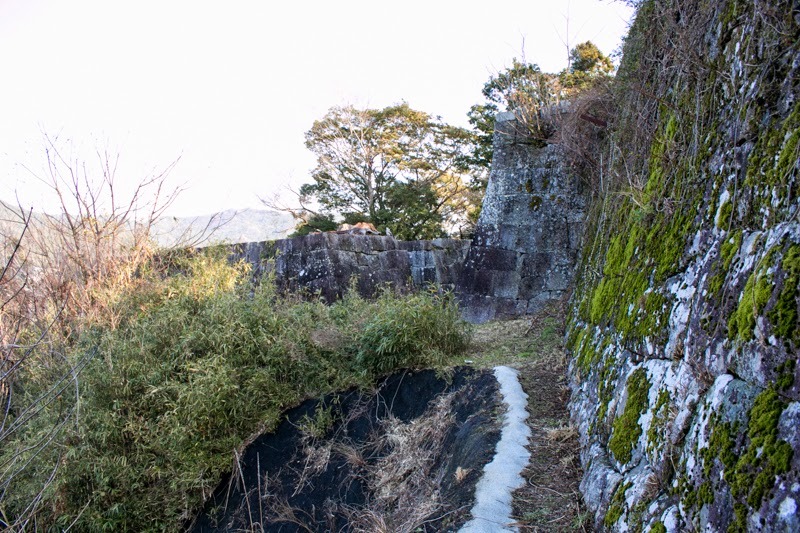 Entrance to central area is protected by folding paths go through several terraces guarded by tall stone walls, and at the edge of this side there was an outer fort separated by dry moat. 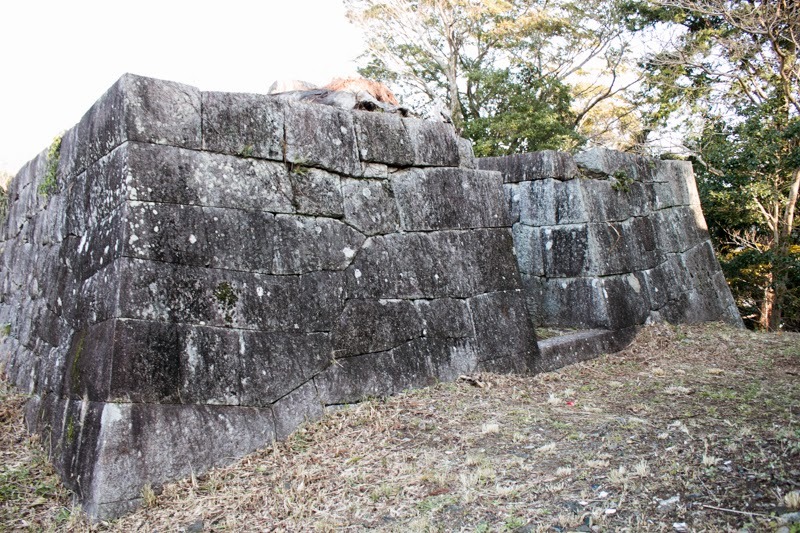 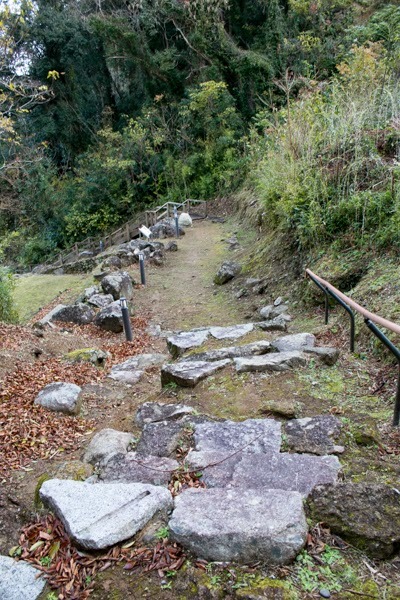 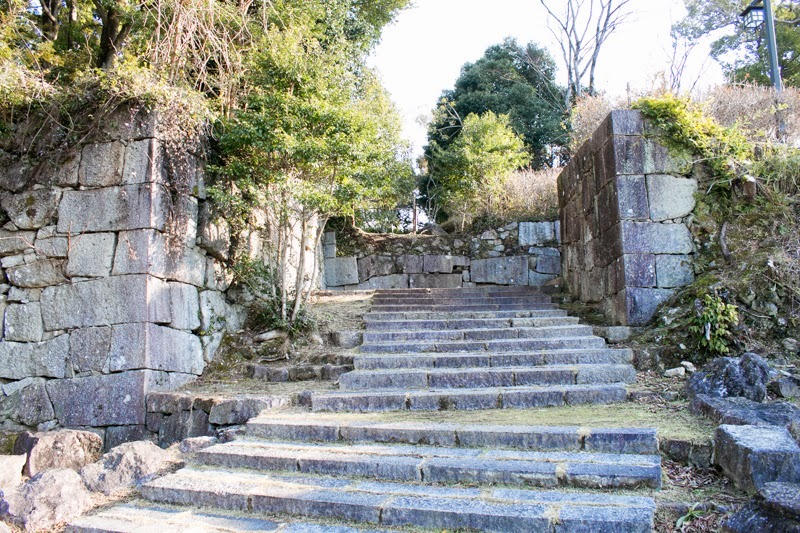 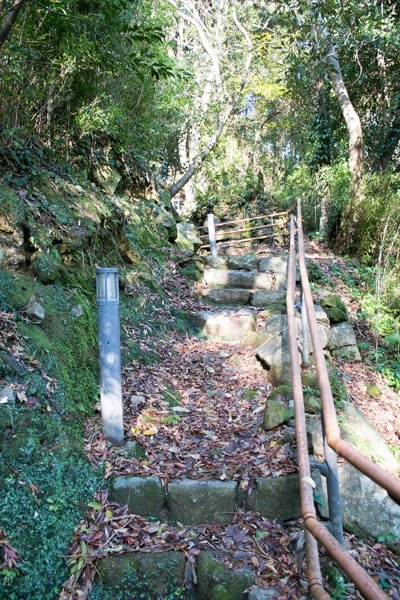 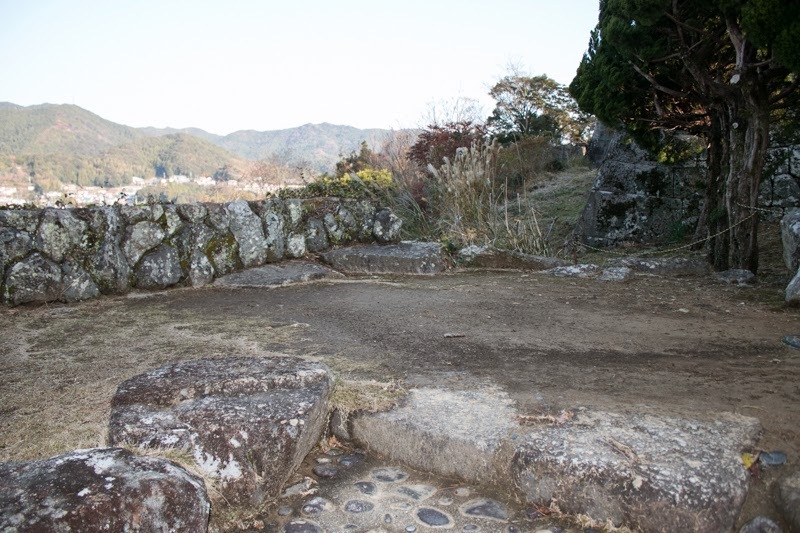 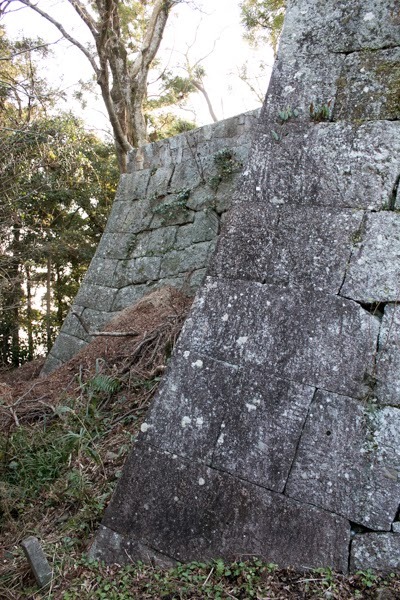 At the saddle point there is Kanenomaru area, the largest area of the castle. 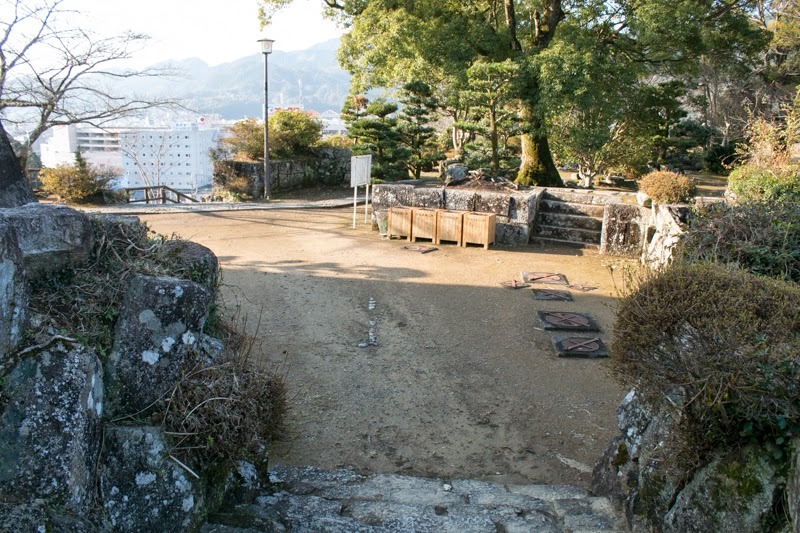 Below the Kanenomaru area there is Matsunomaru area, and main gate is built at the edge of Matsunomaru area. 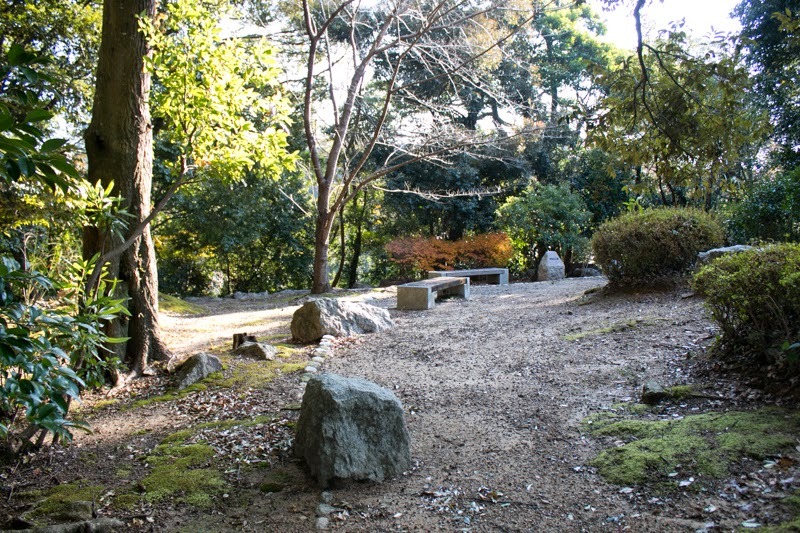 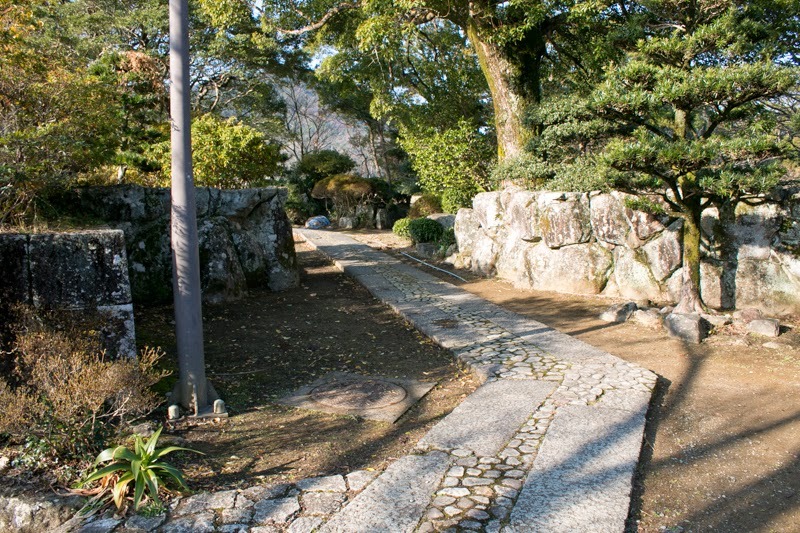 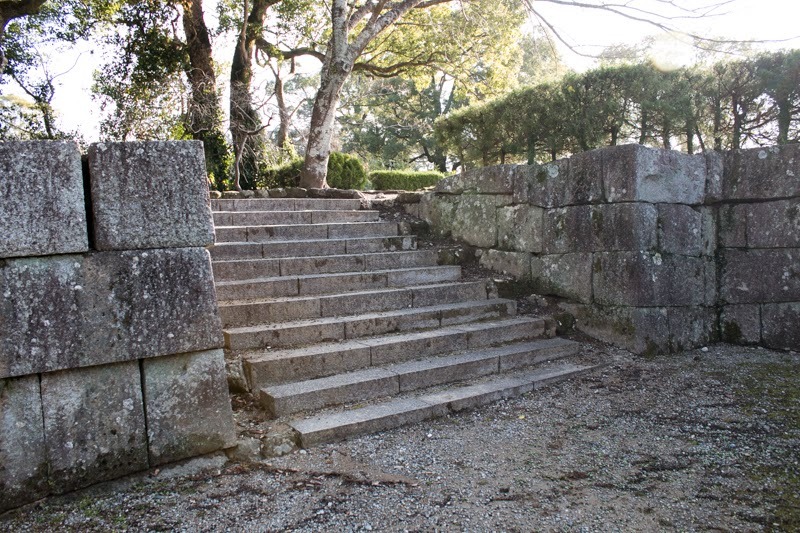 Gate to Matsunomaru area and Kanenomaru area are also a complex gate with folding path. 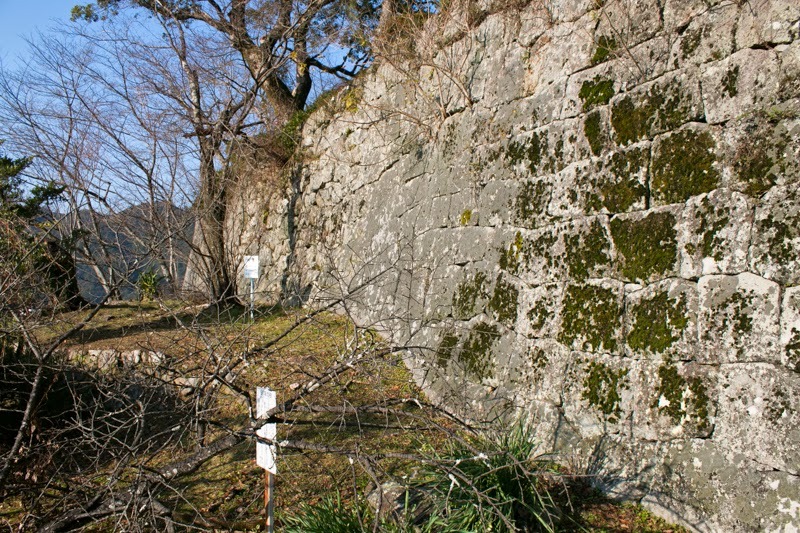 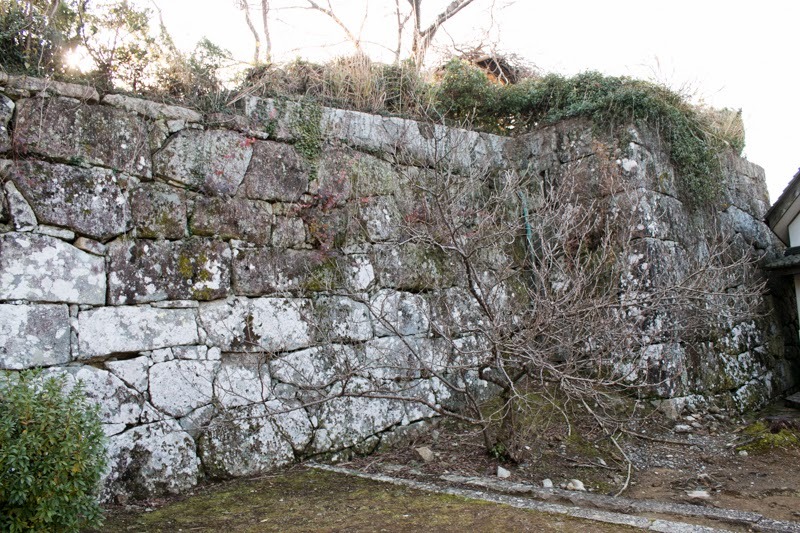 All walls of these areas are covered by stone walls, and many projection are made to erase dead angles. 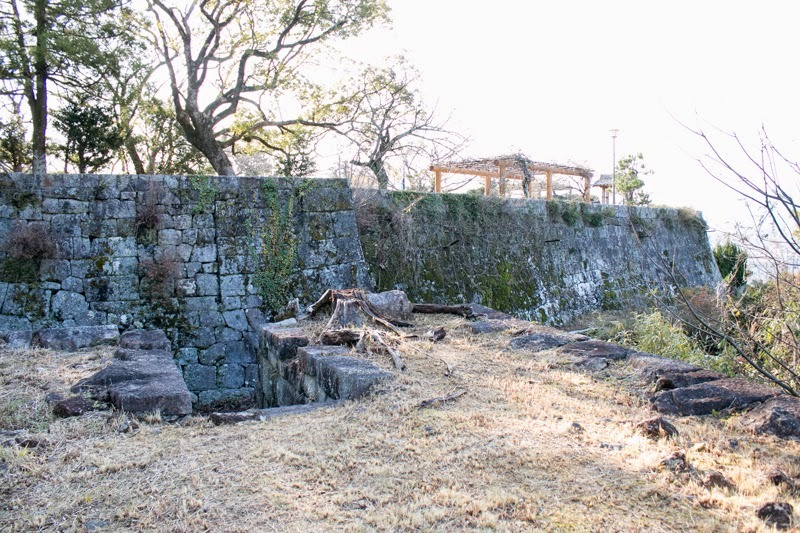 The shape of Shingu castle with winding line along with the terrain preserves the style of Toyotomi period, and probably keeps original plan of Asano period. 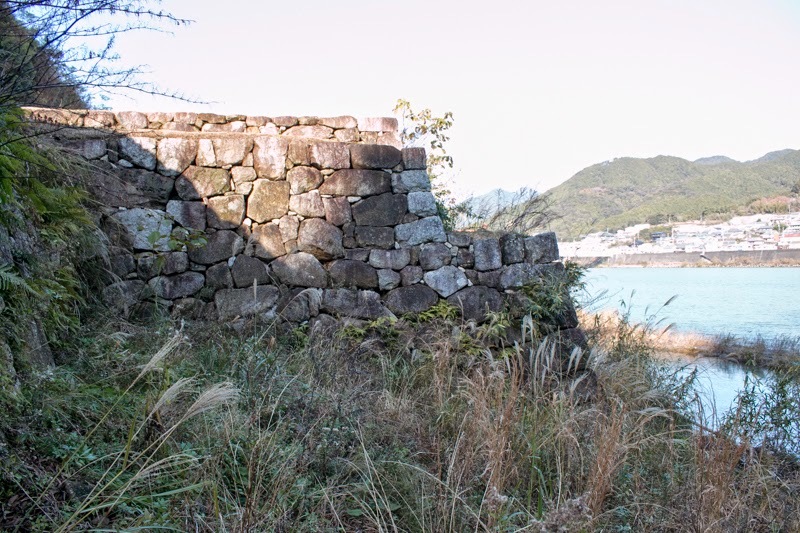 At the backside of the hill faces Kumanogawa river, there was a large water port called as Mizunote area. 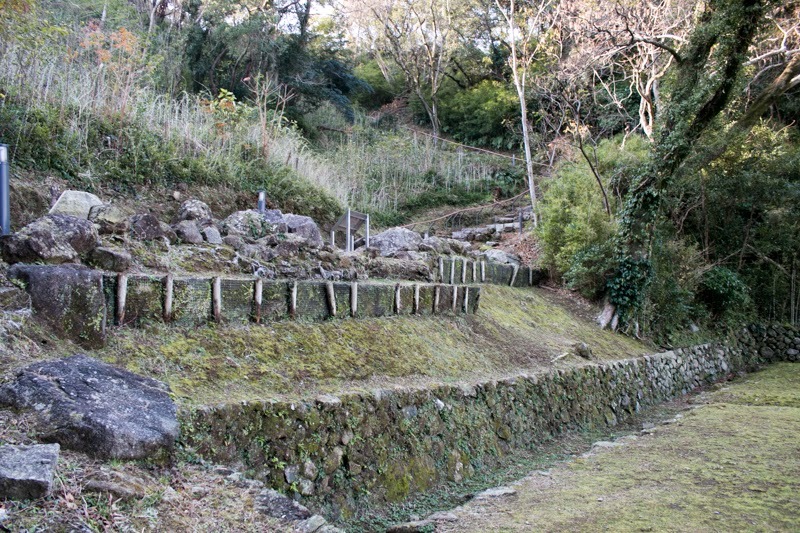 This area is about 50 meter long square, and consist of several terraces built by stone walls, and slope from river side to each terraces. 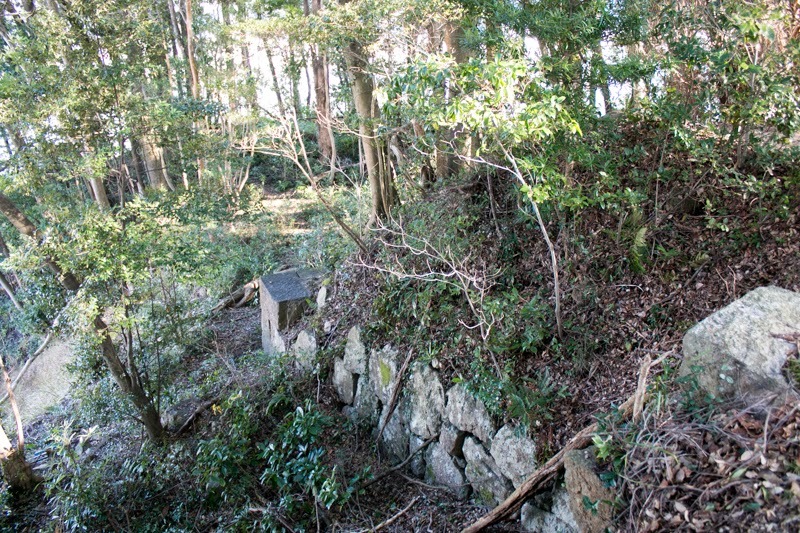 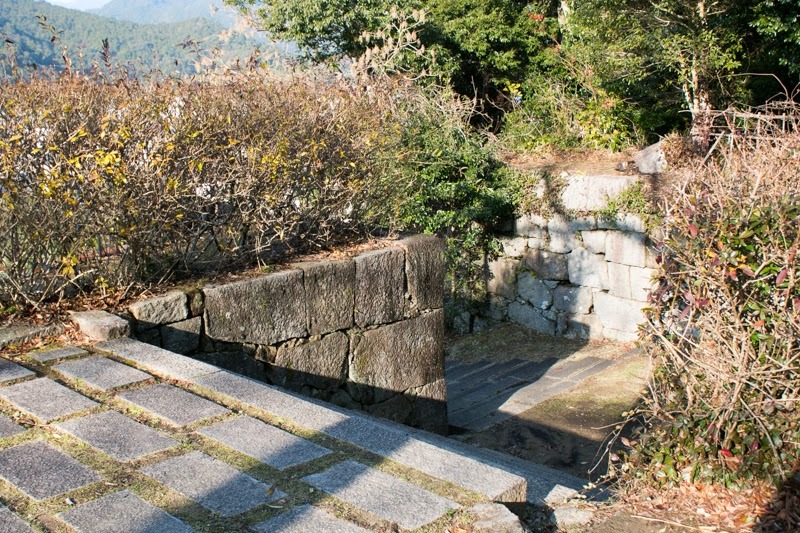 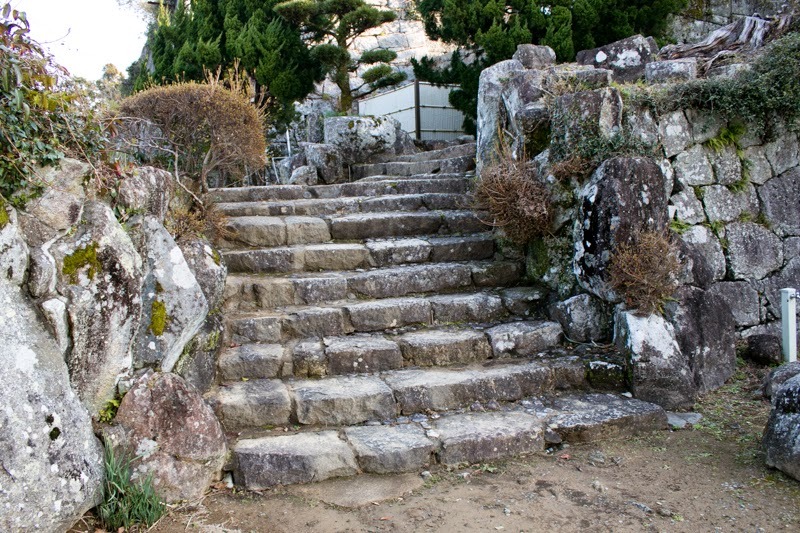 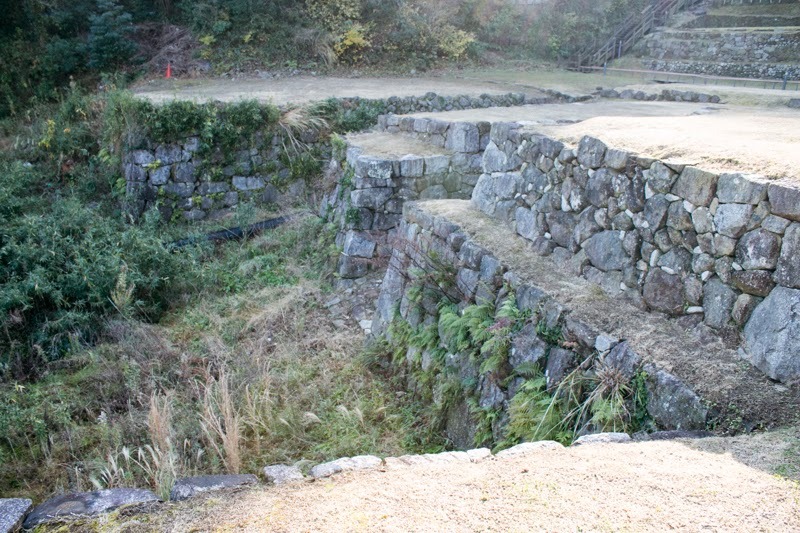 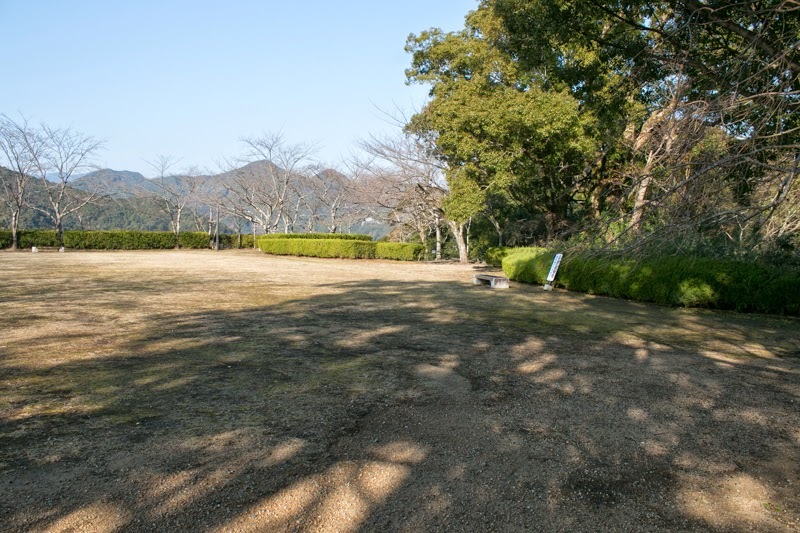 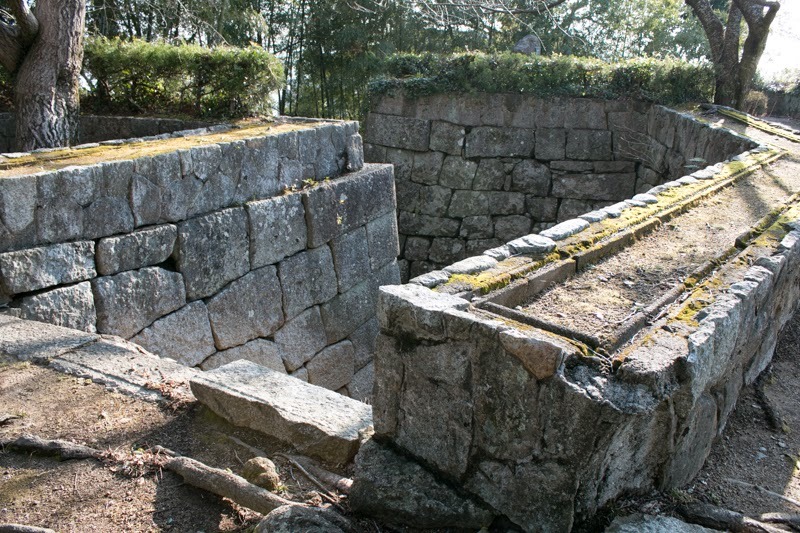 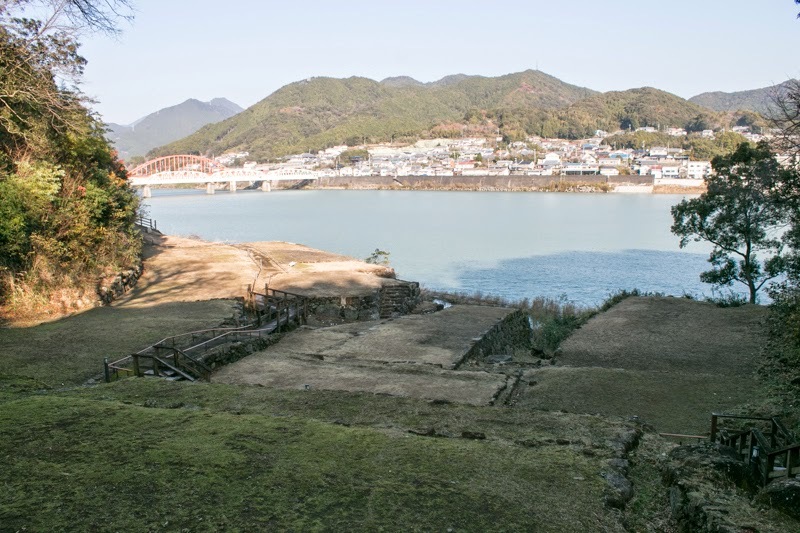 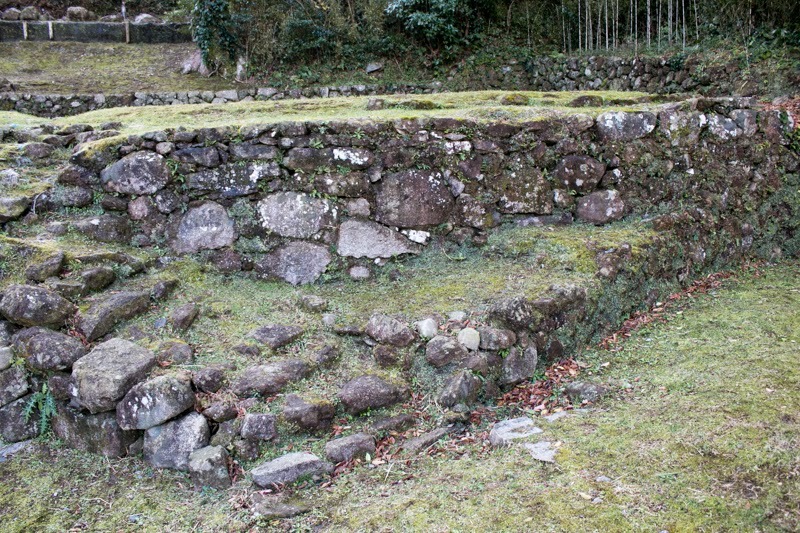 As Mizuno clan treated lumbers and charcoals produced at Kumano area and gain profits, then warehouses to keep these items were built at this area, just behind of the castle. 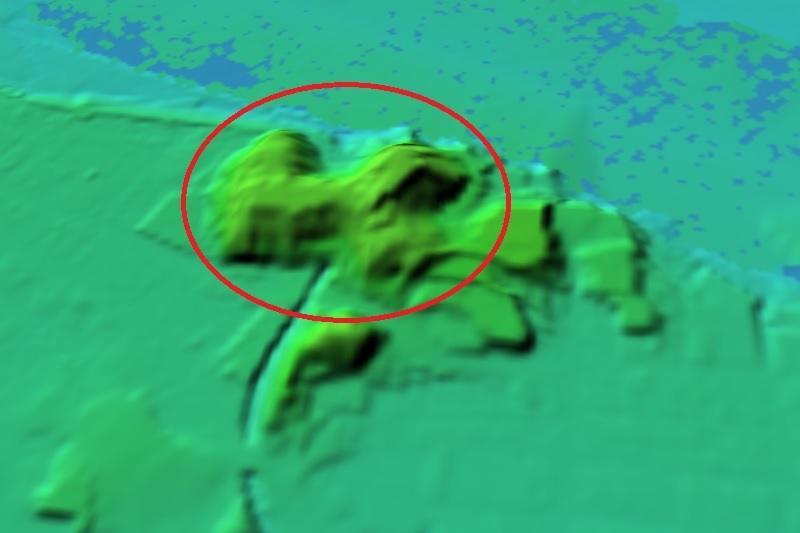 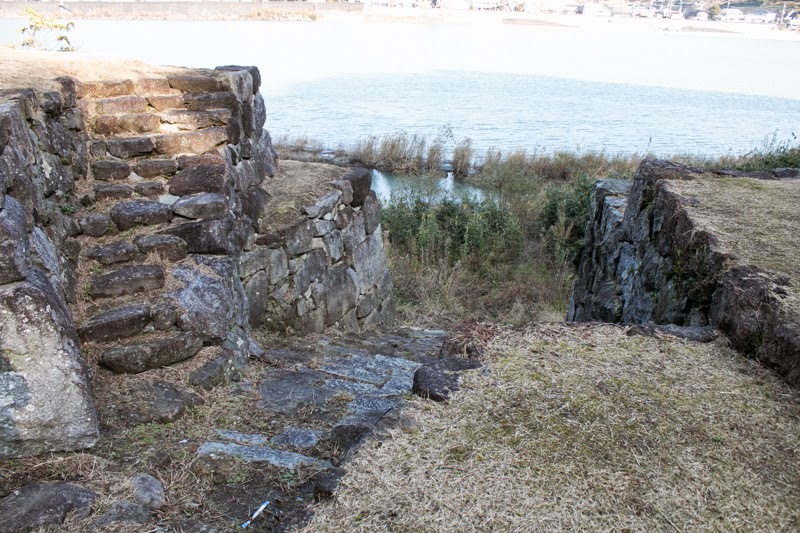 Remaining ruin of river port attached to the castle is very rare and it is valuable. 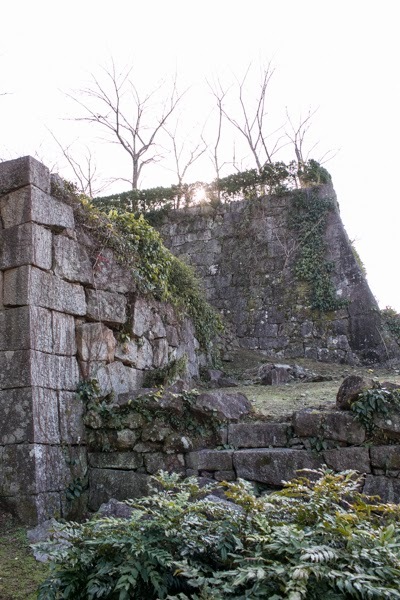 Mizuno clan kept Shingu area along with Kishu domain, and subsequent to Meiji revolution Shingu castle was abolished. 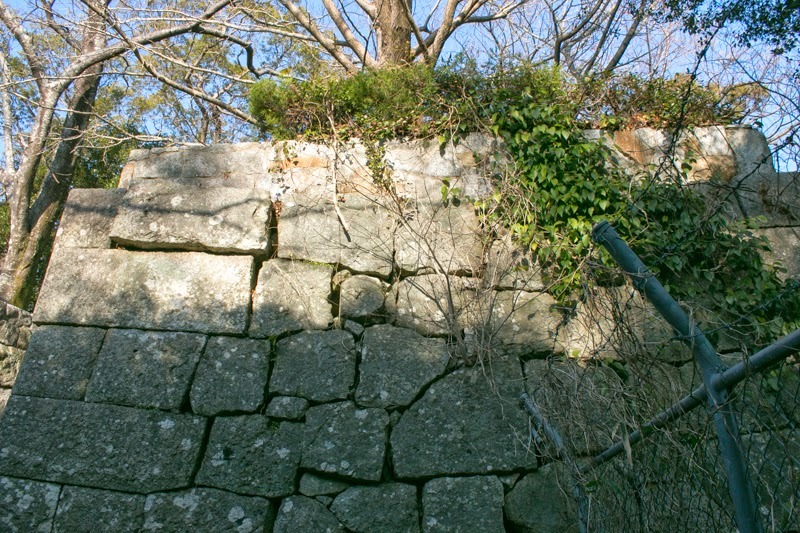 Today all building were lost but beautiful stone walls still remain on the hill. 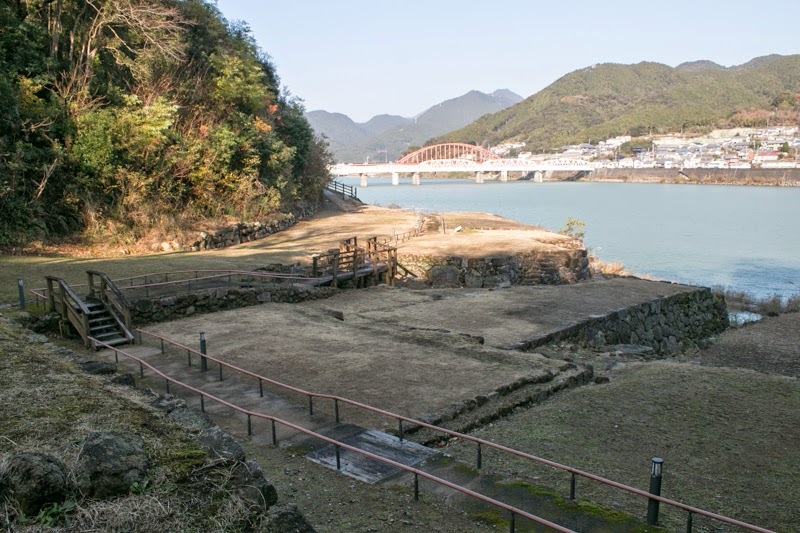 Combination of modern Shingu castle and old Shingu Hayatama Taisha shrine just at the north of the castle shows unchanged importance and tradition of Kumanogawa river and Kumano area. 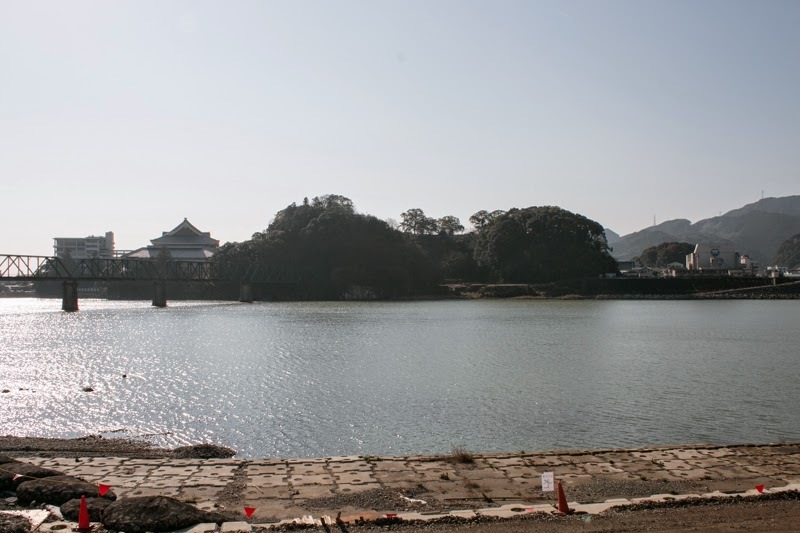 Even though not a large castle and located at distant place, beautiful and magnificent stone walls faces the blue river is worth for visiting. 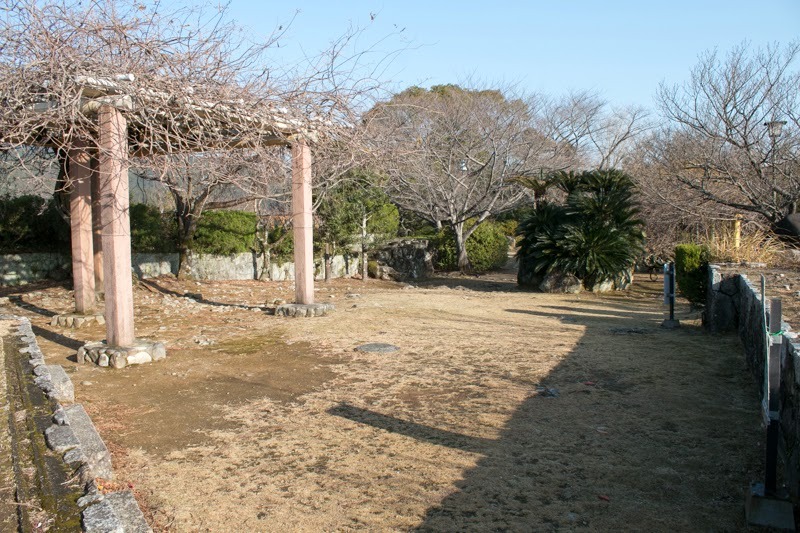 15 minutes walk from JR West/Central Kisei Honsen line Shingu station. 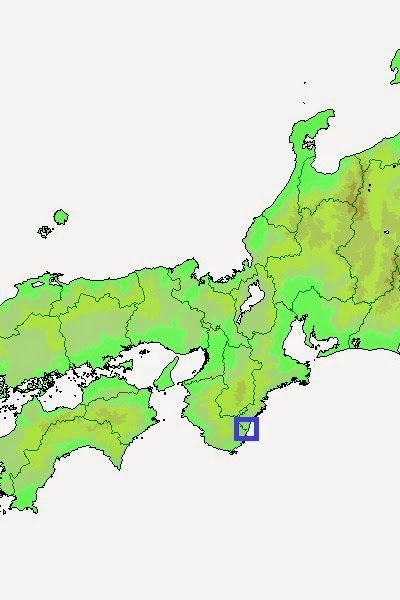 60 minutes drive from Kisei Jidoshado Expressway Owase-Kita interchange.